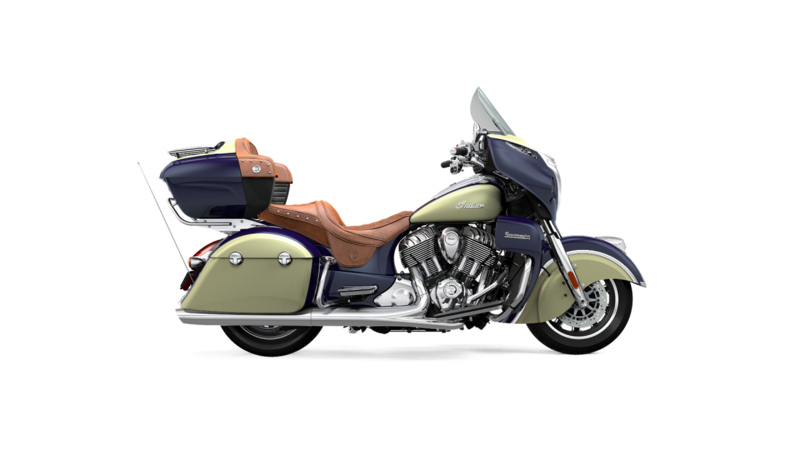 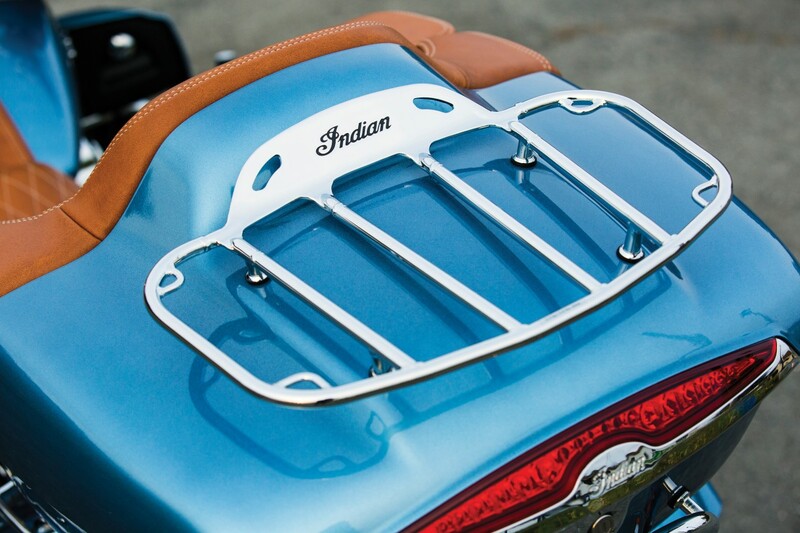 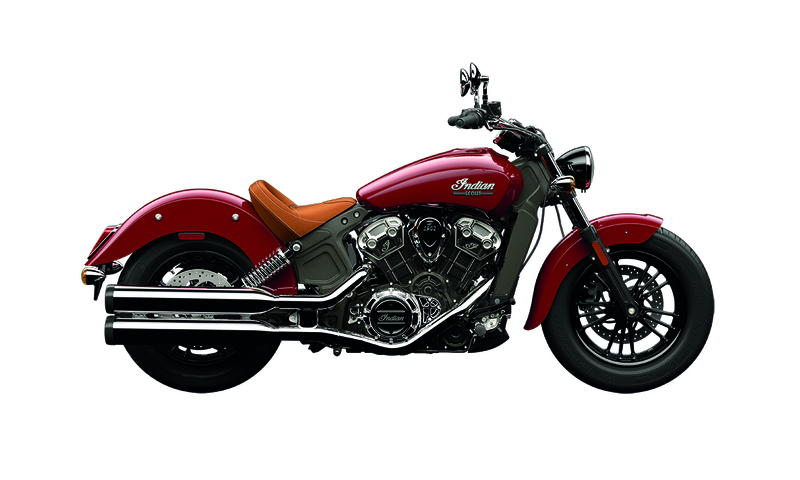 For 2016 Indian Motorcycle is once again delivering premium finishes and new colour schemes for its range of cruisers, baggers and tourers. 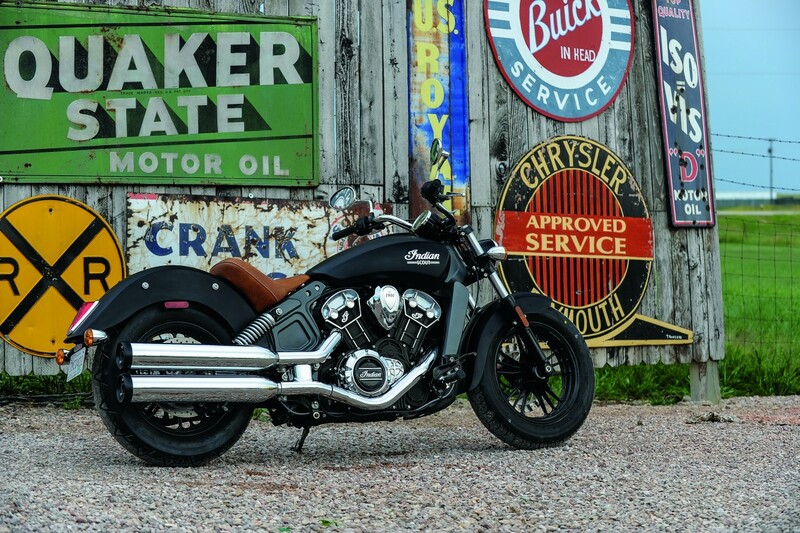 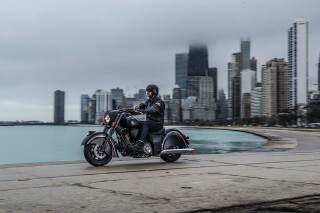 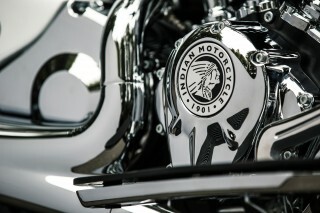 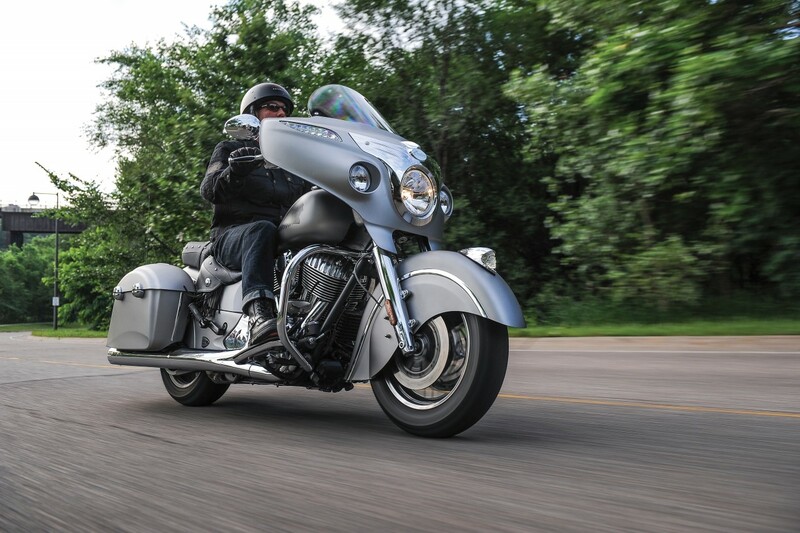 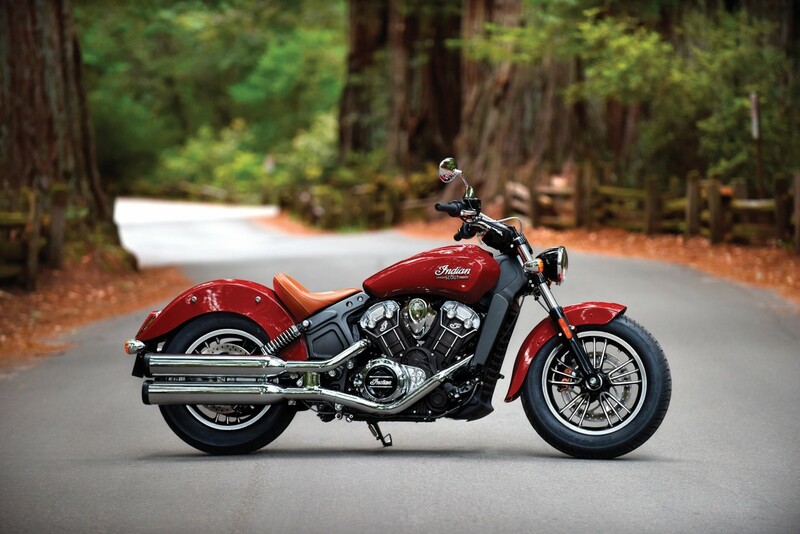 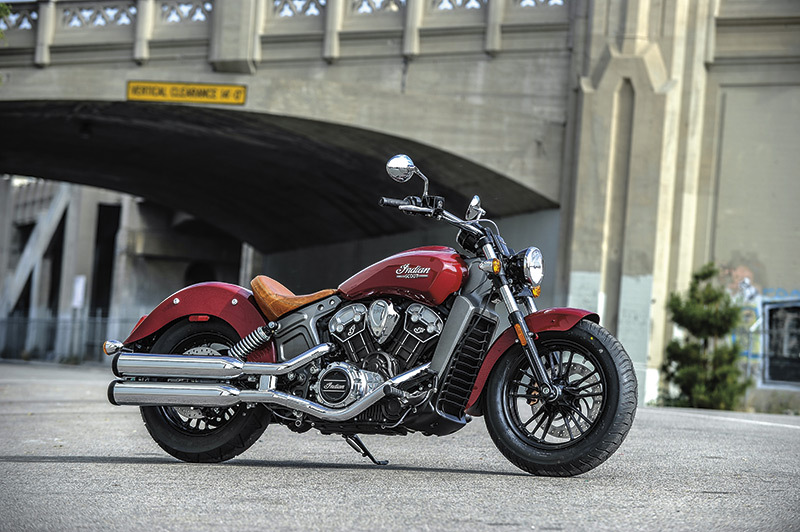 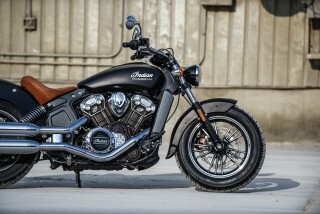 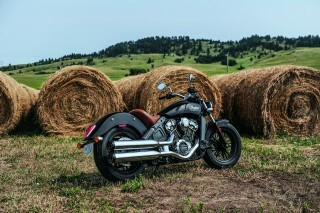 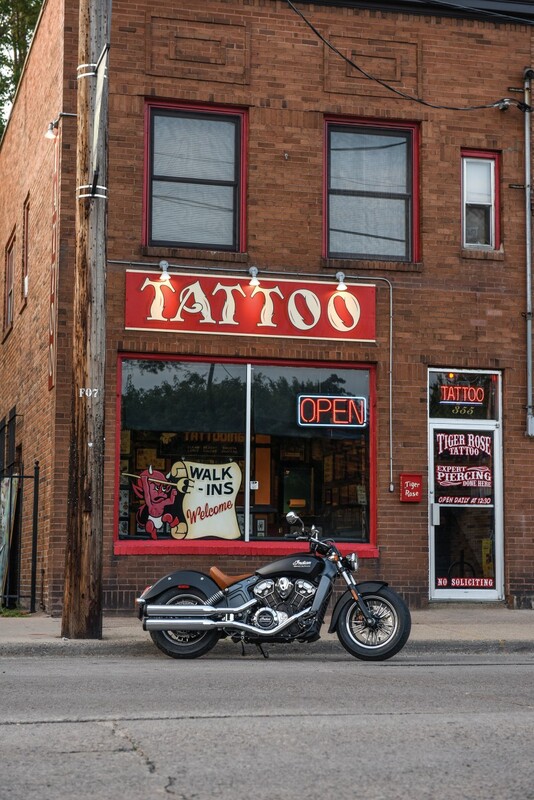 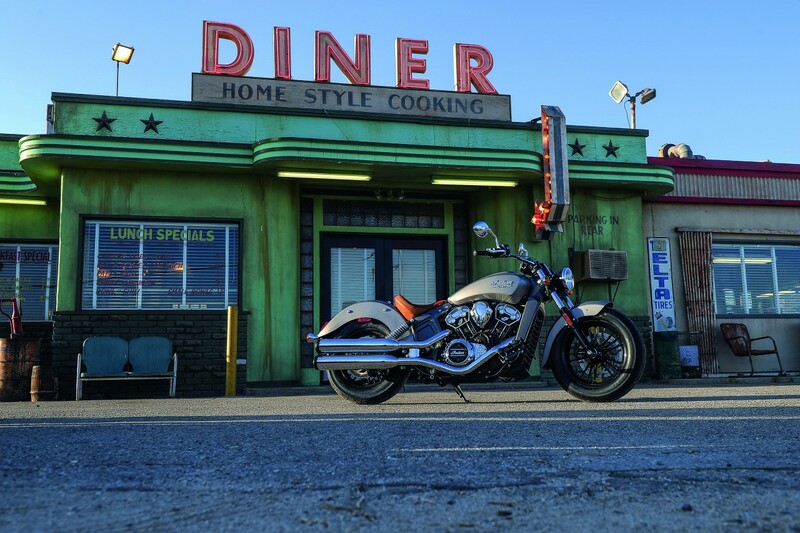 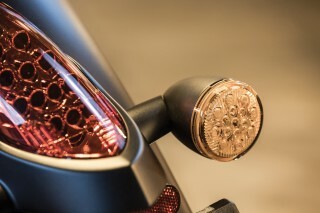 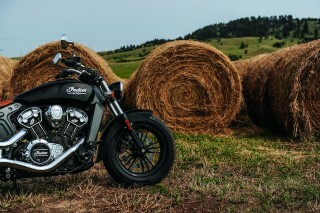 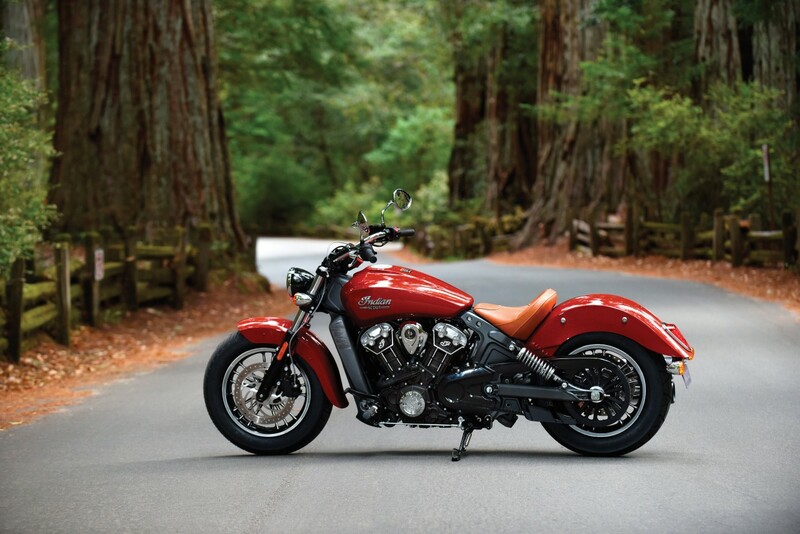 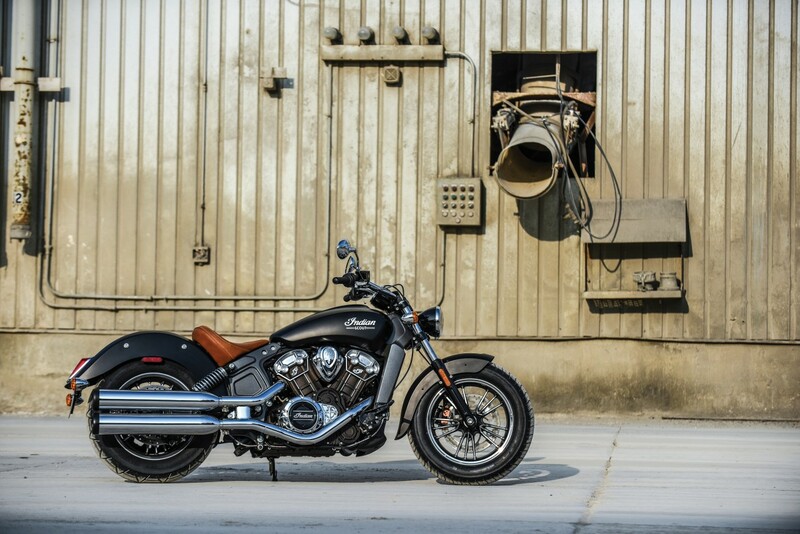 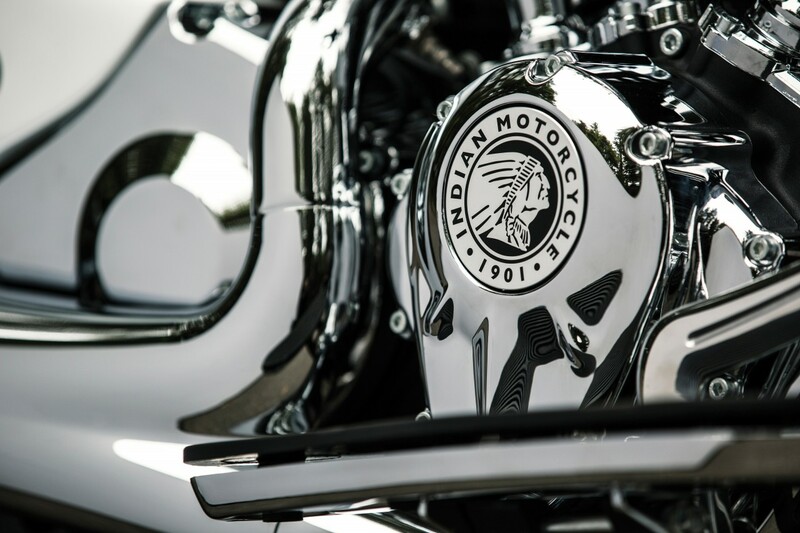 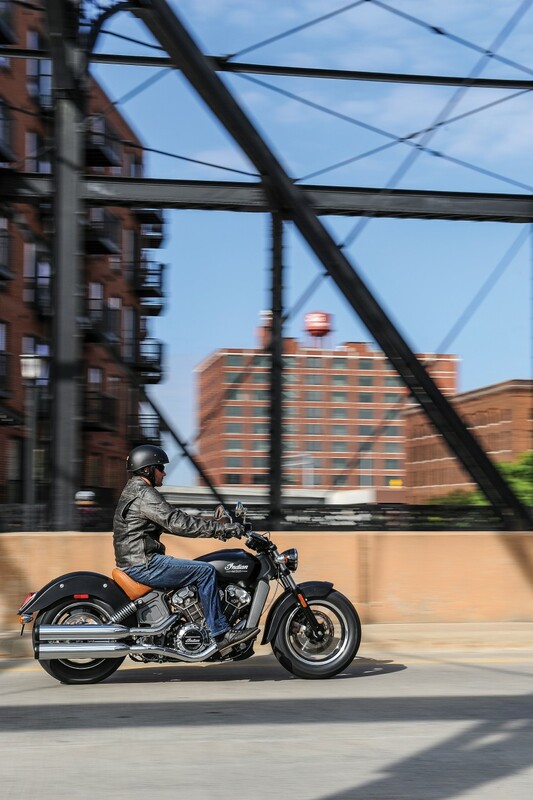 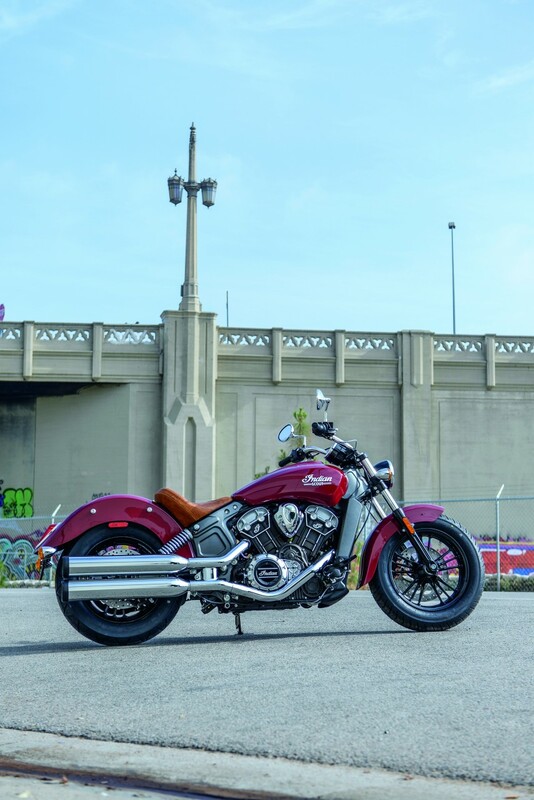 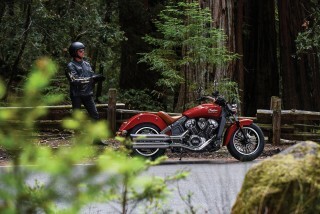 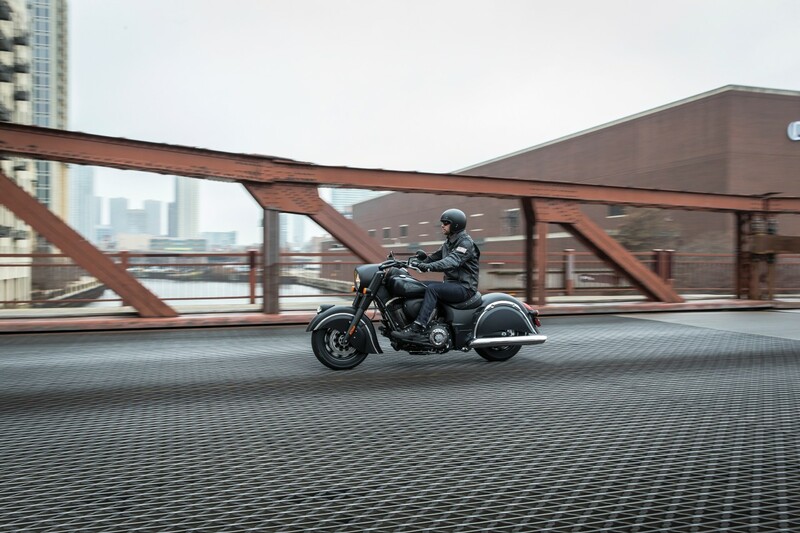 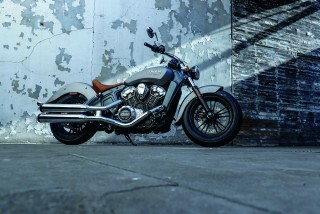 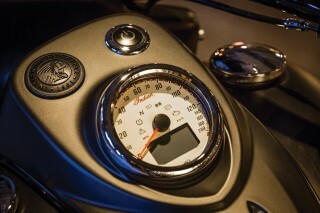 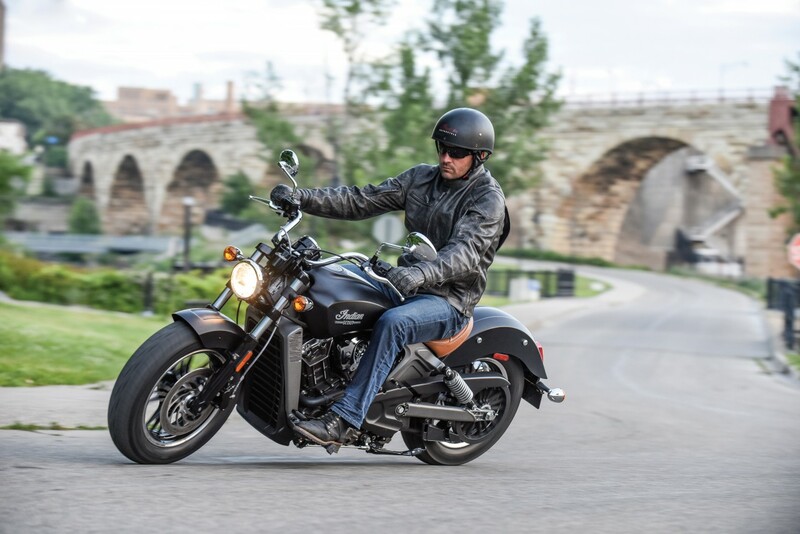 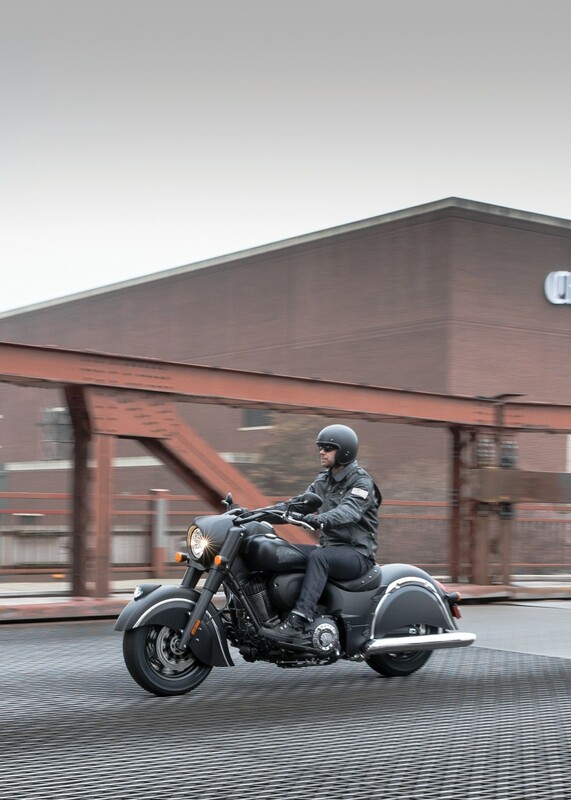 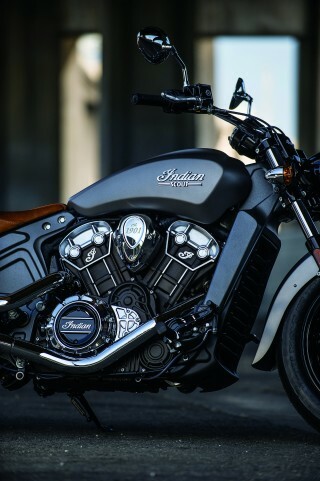 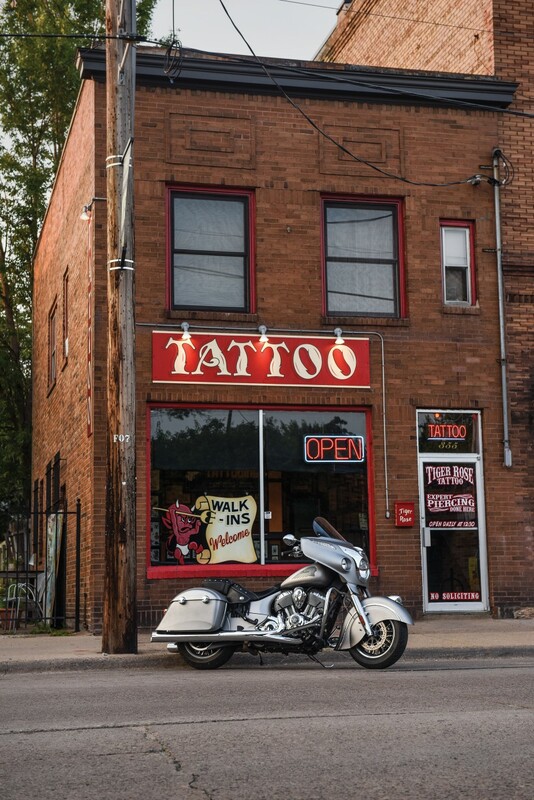 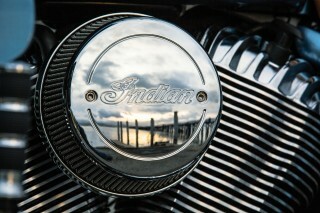 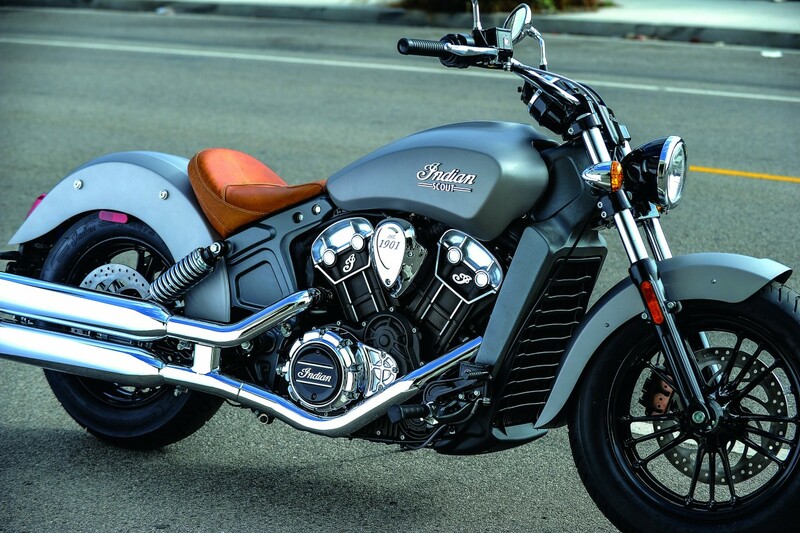 Indian Motorcycle has had record sales results this financial year, helped by overwhelming demand for the Scout, Chief Dark Horse and Roadmaster. 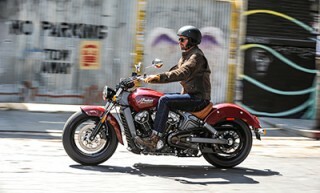 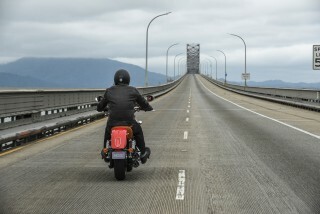 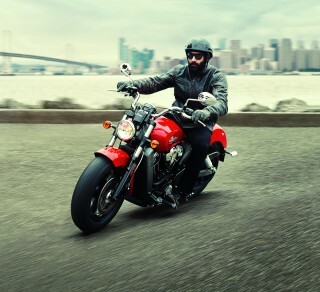 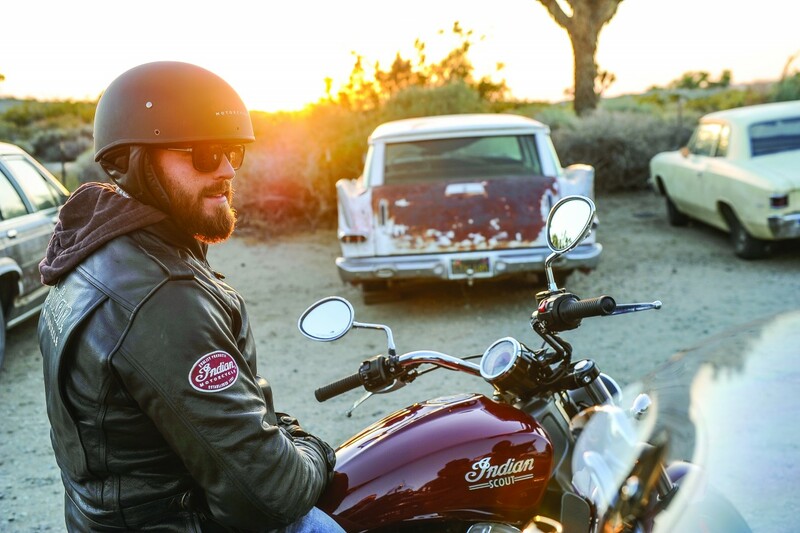 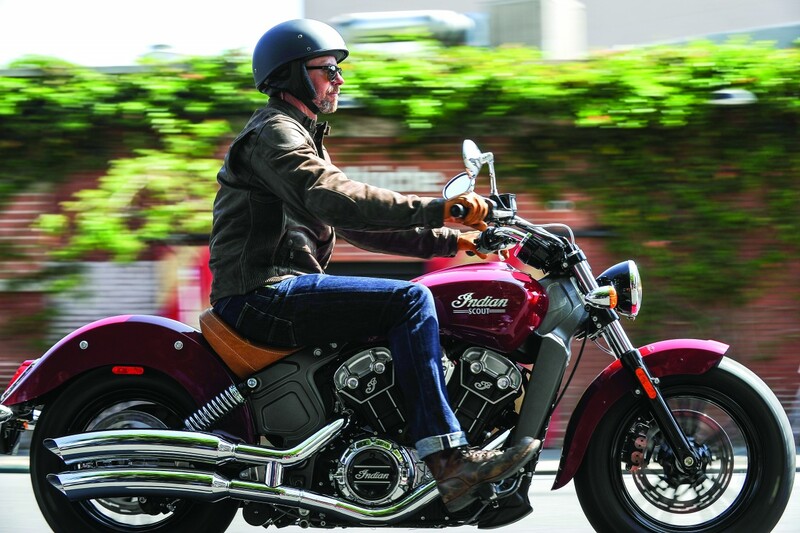 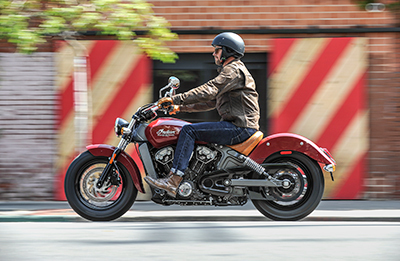 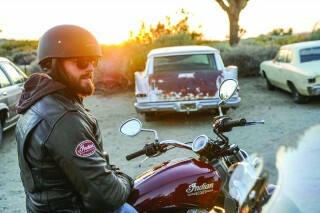 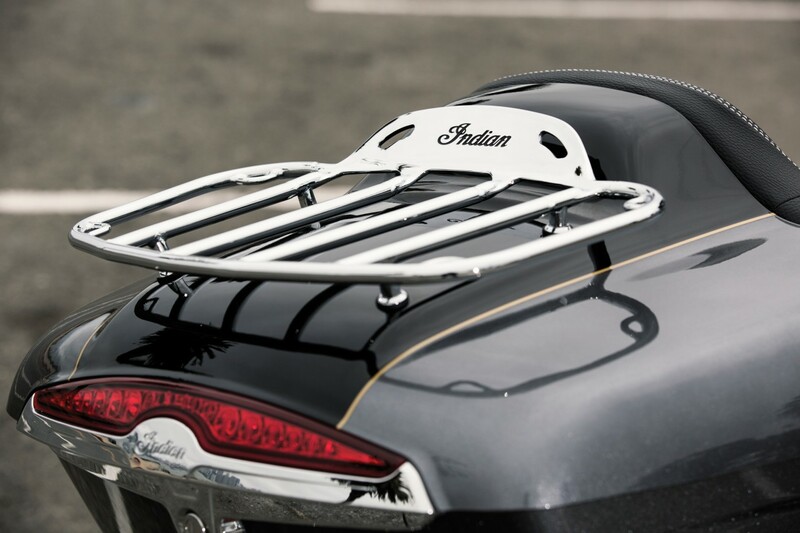 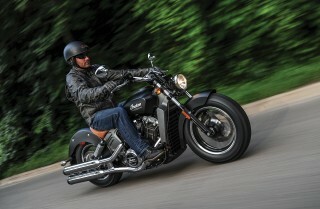 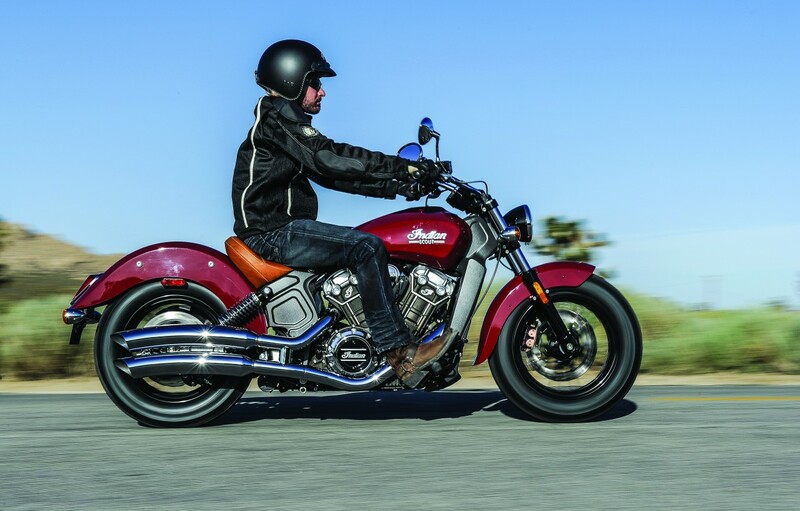 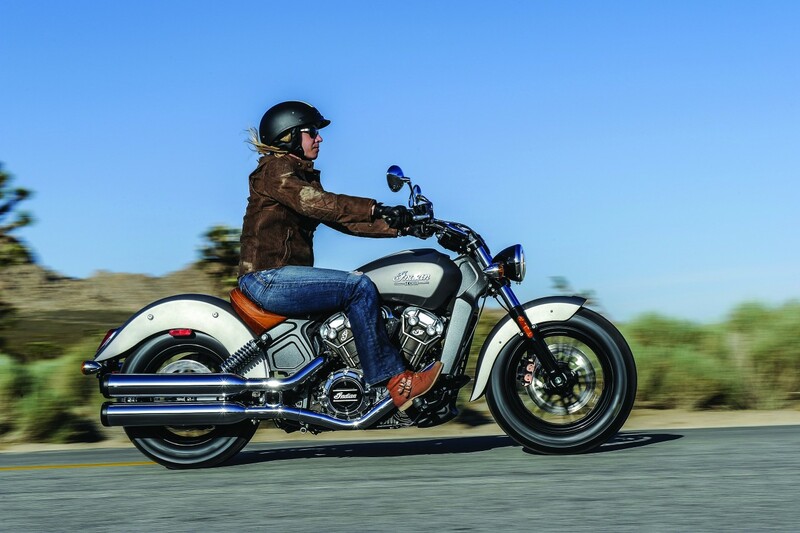 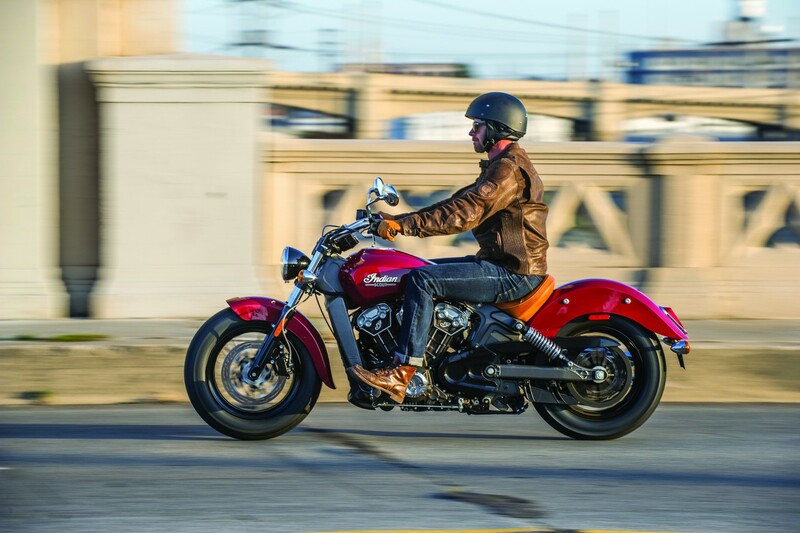 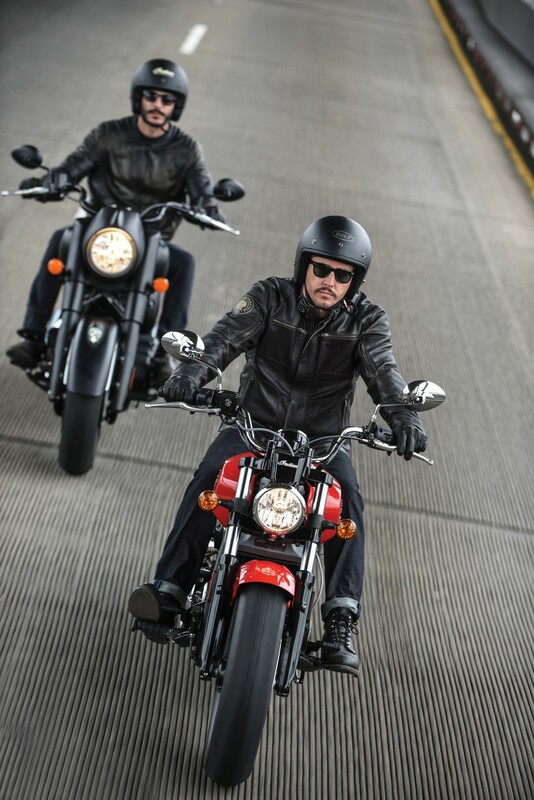 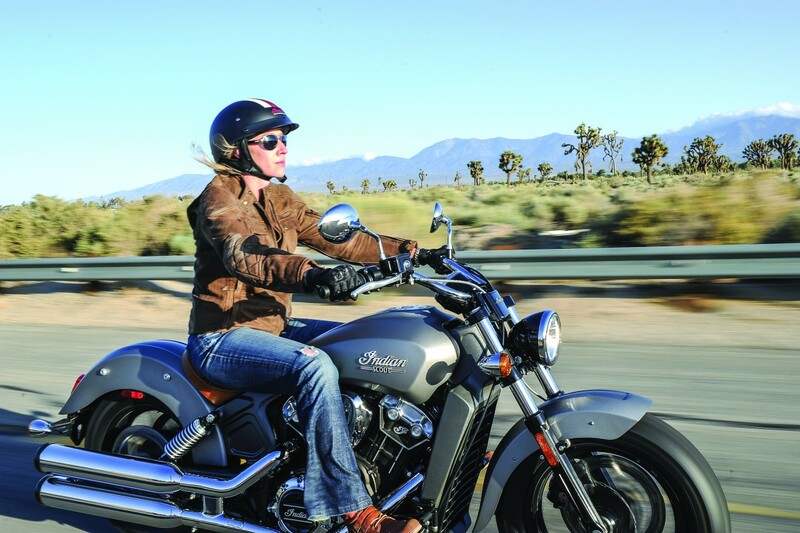 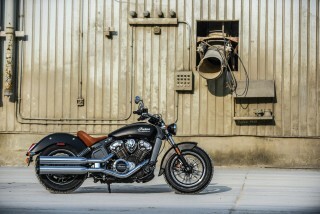 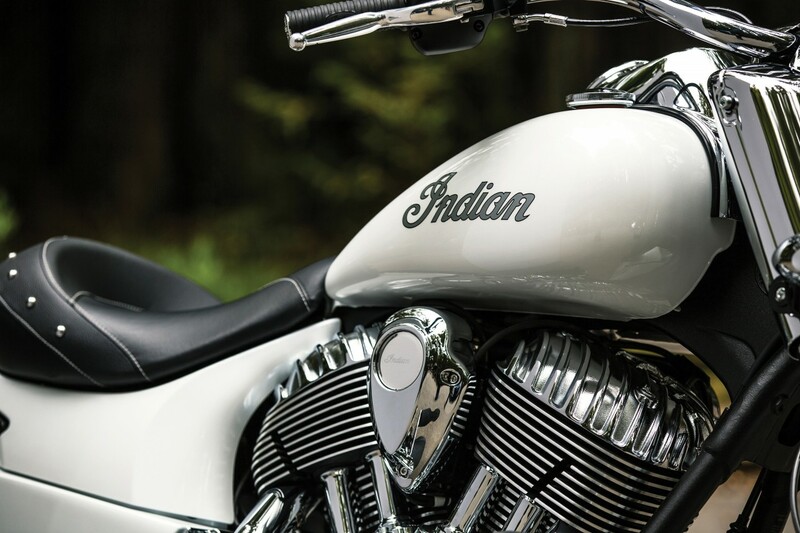 The brand expects growing interest from bikers throughout EMEA during 2016 as they begin to see and hear more about Indian Motorcycle ownership and the experiences each model can offer. 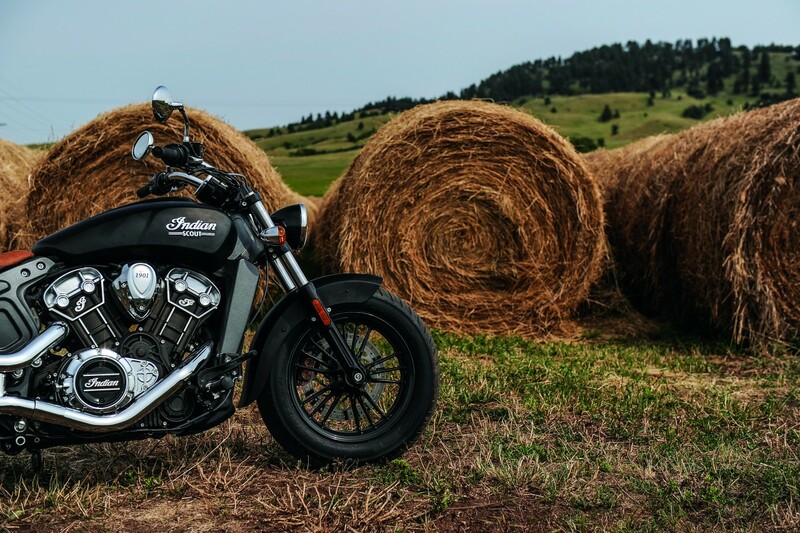 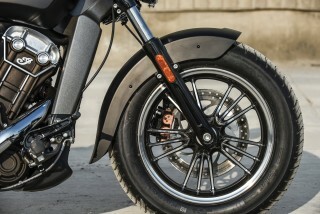 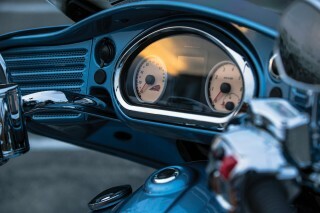 Dario Baraggia, EMEA Motorcycle Brand Manager, says it’s easy to see the appeal of these beautiful, well-engineered motorcycles on roads throughout Europe, the Middle East and Africa. 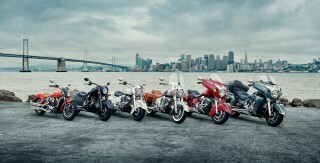 Here’s a look at the MY16 line-up. 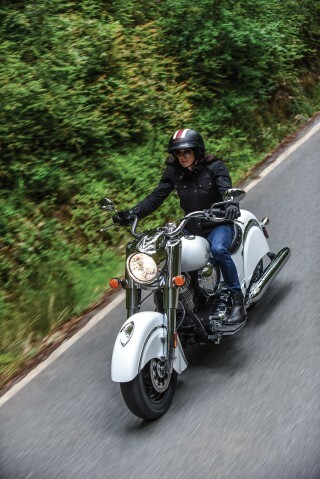 There has been huge demand for this middle-weight cruiser in the EMEA region. 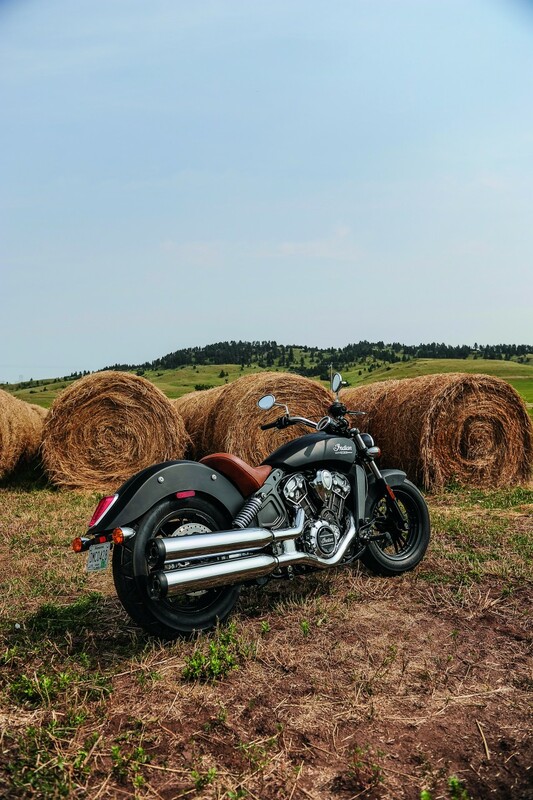 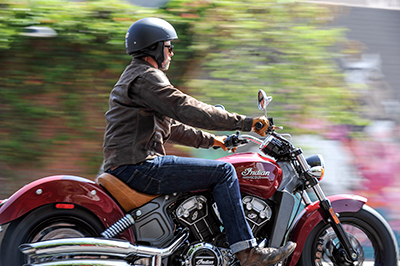 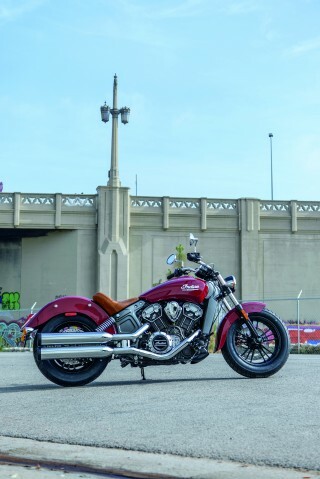 With its compact design, low 643mm seat height and ABS as standard, the Indian Scout is the perfect multipurpose bike for any rider. Its liquid-cooled 1133cc V-twin engine has a usable 100hp of performance and a sound that will bring a smile to your face every time you ride. 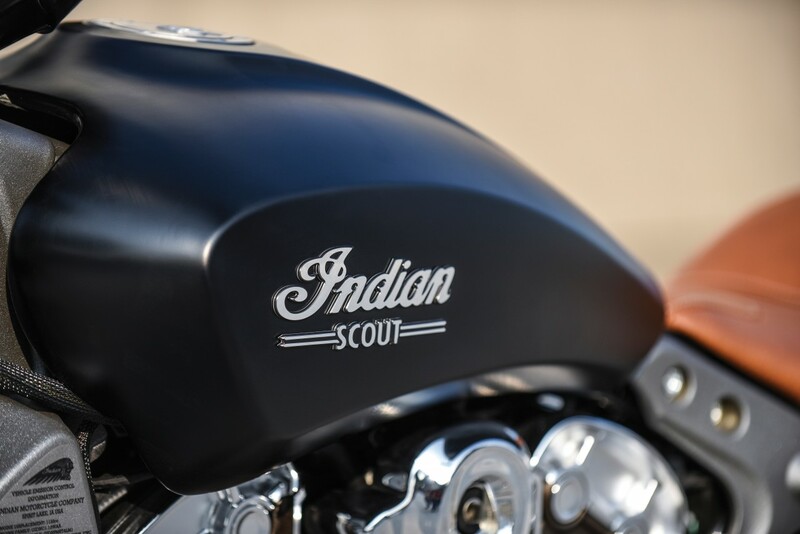 For 2016 the Scout comes in five colours. 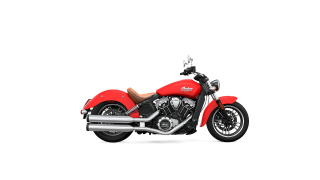 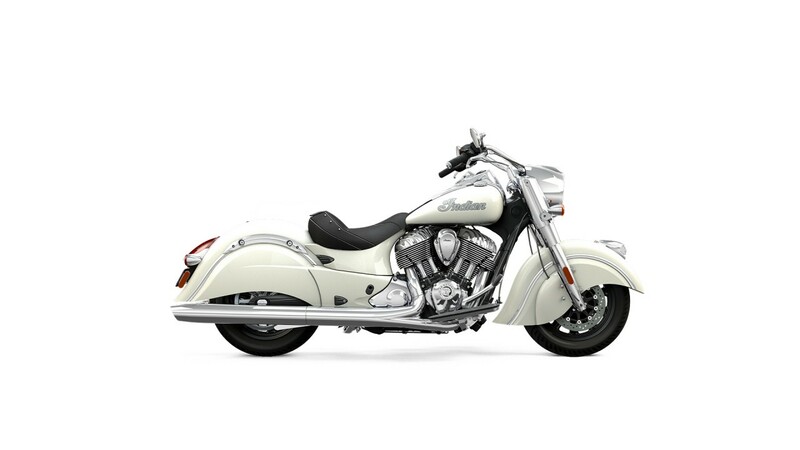 For 2016, Indian Motorcycle continues to sell its award-winning Indian Chief models, delivering the power, handling, unmatched engineering and stunning beauty of the industry’s hottest heavyweight cruisers and baggers. 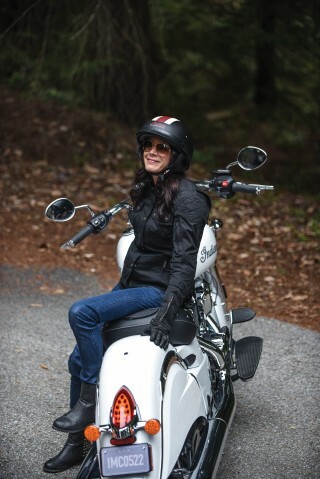 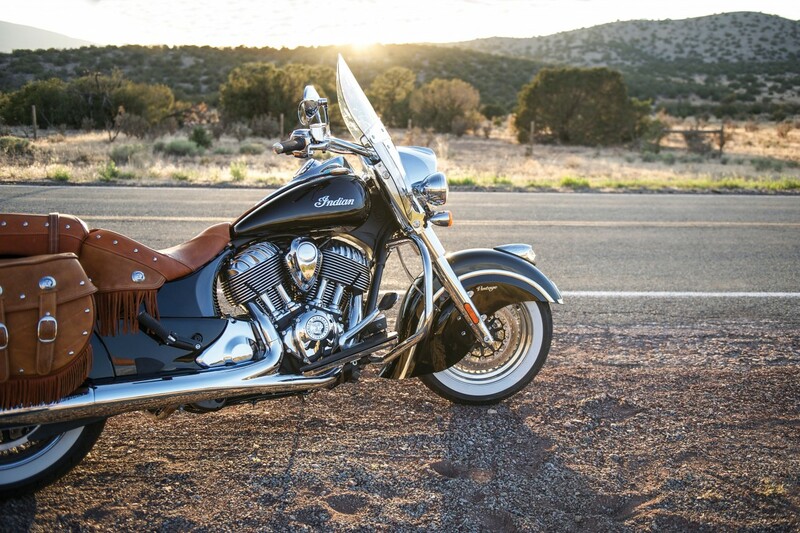 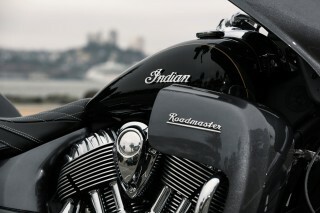 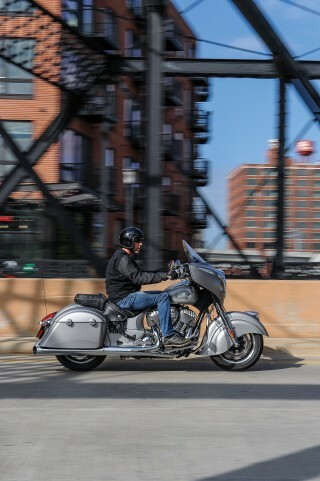 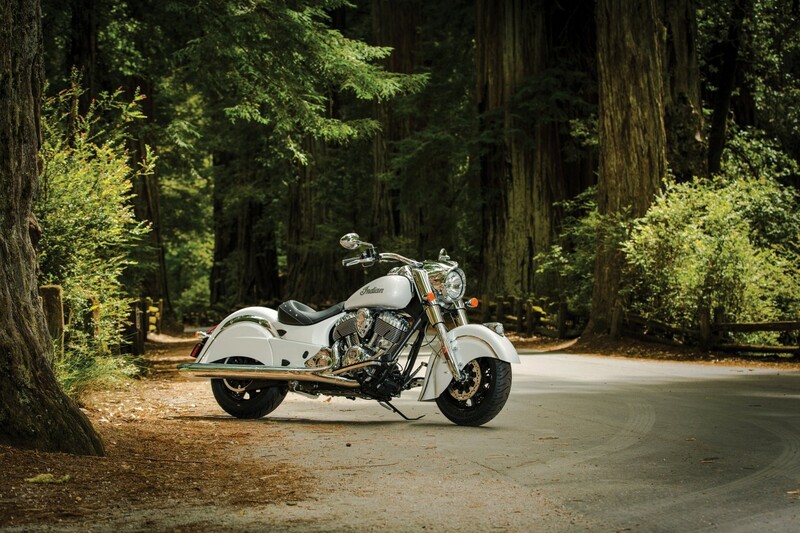 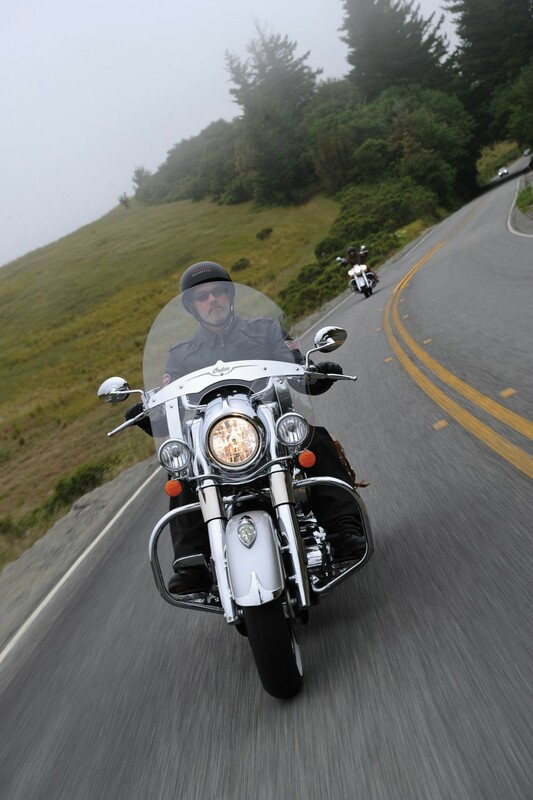 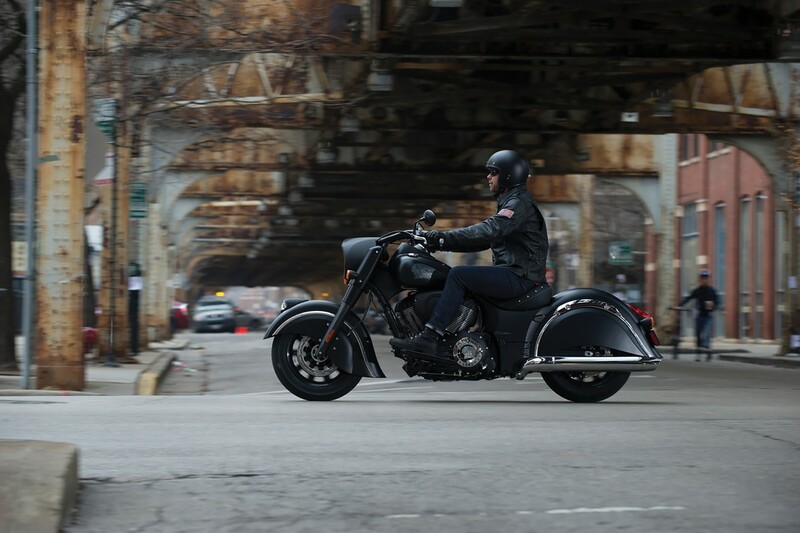 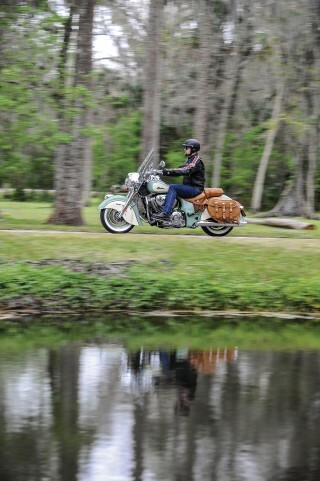 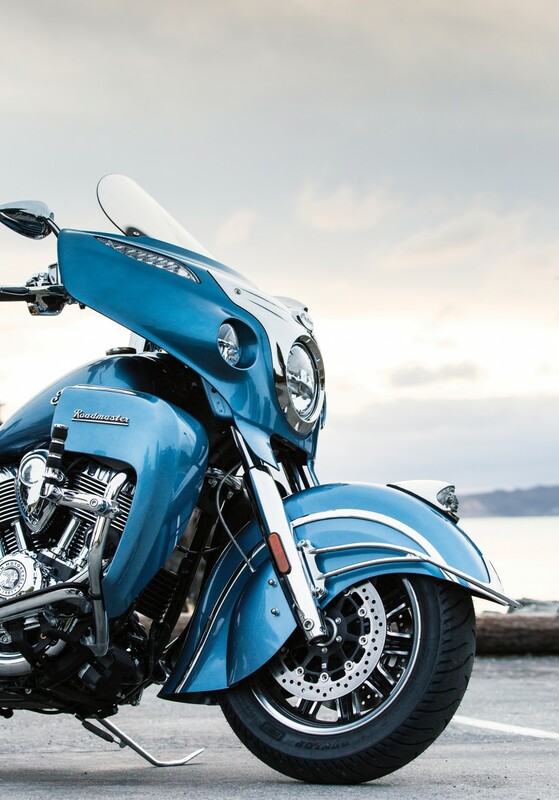 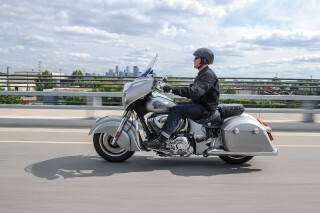 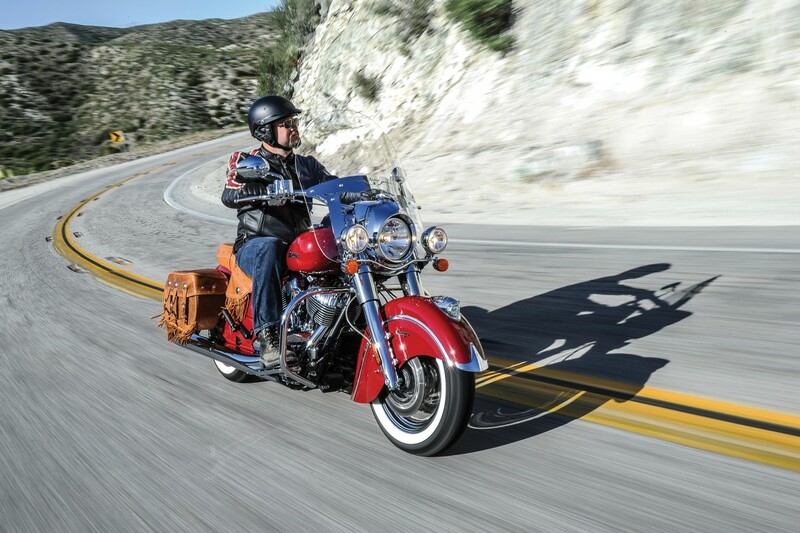 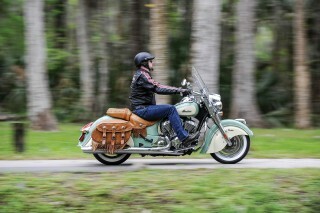 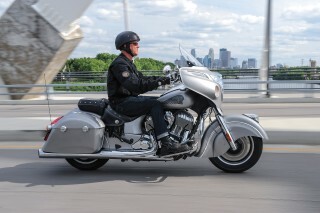 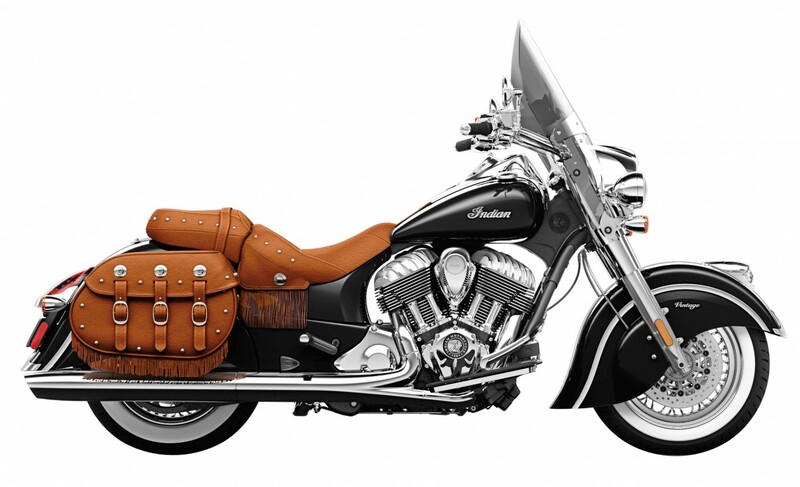 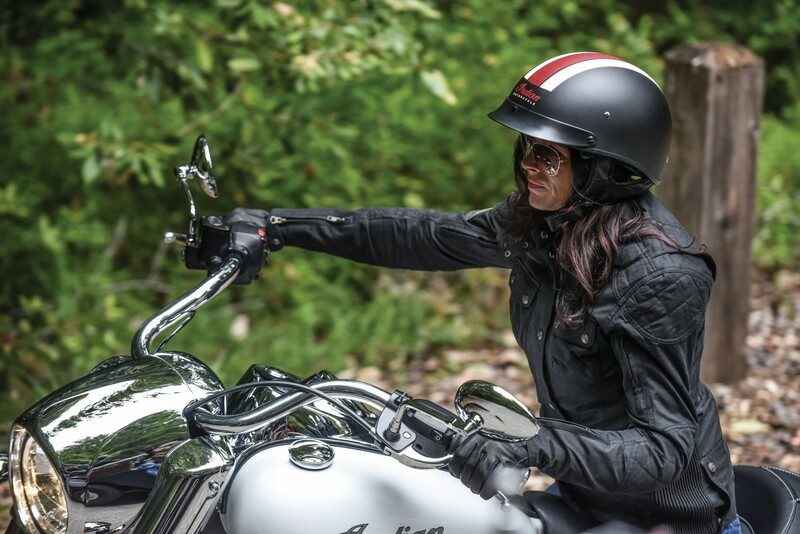 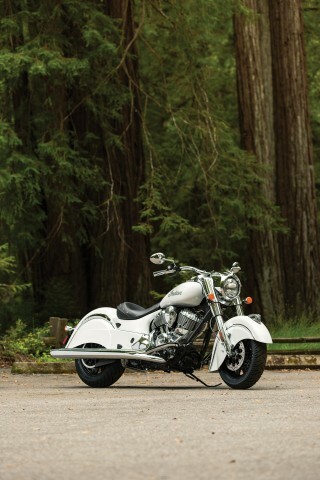 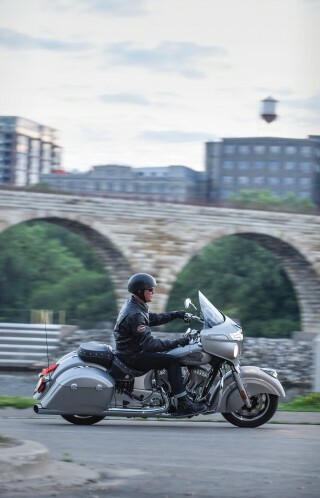 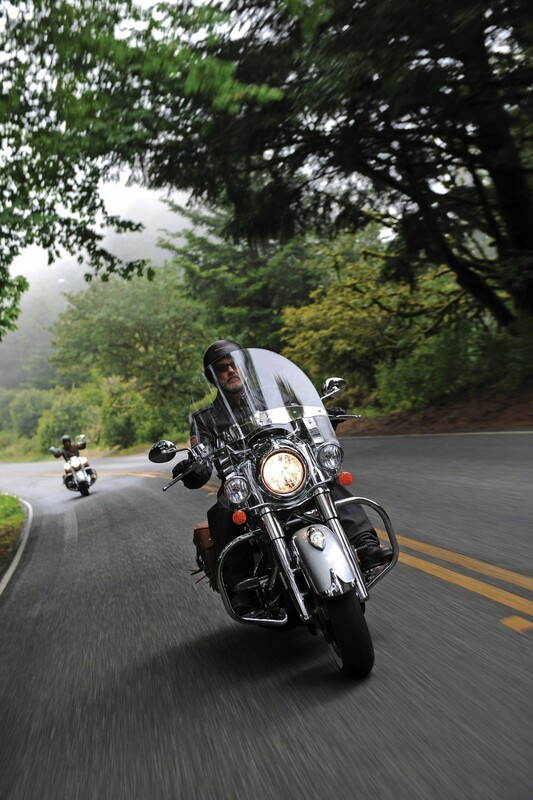 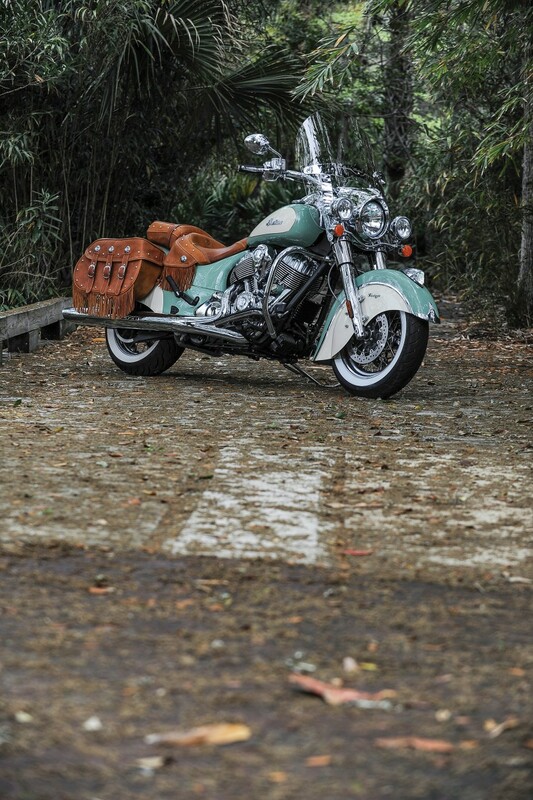 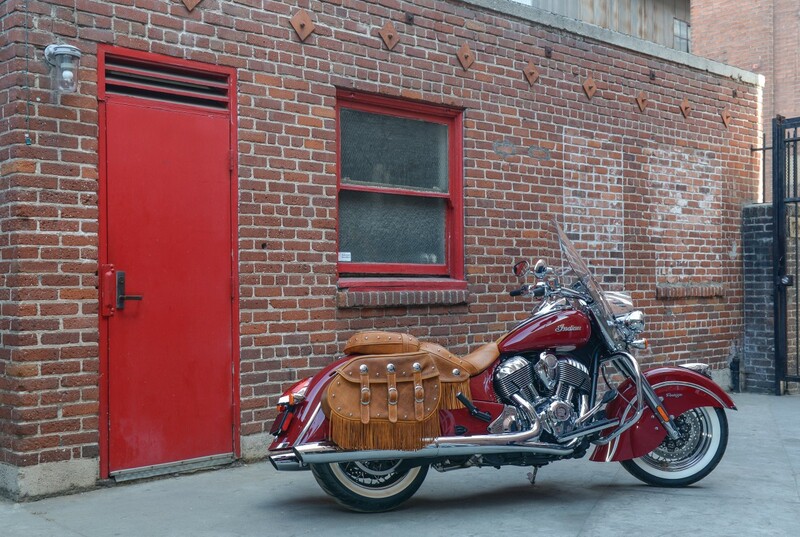 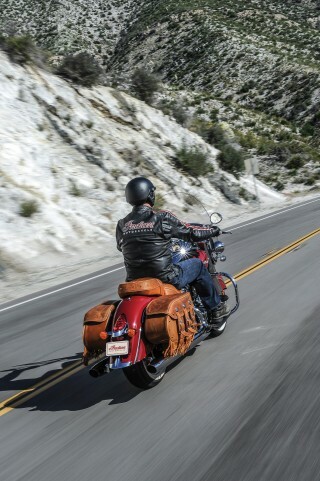 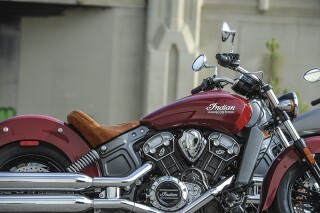 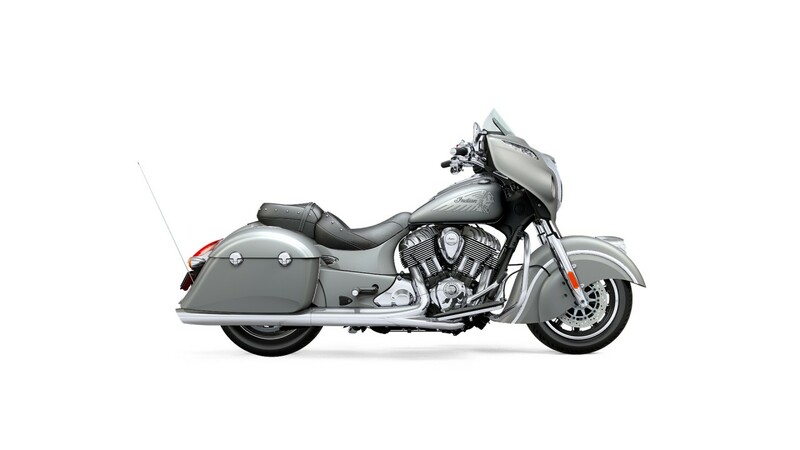 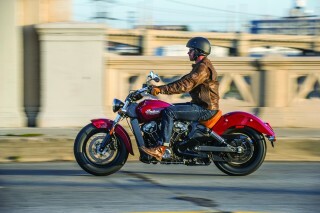 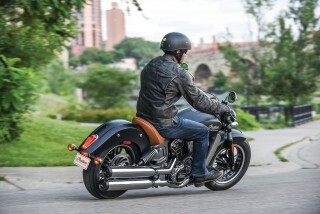 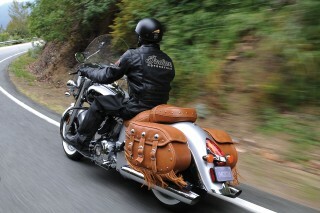 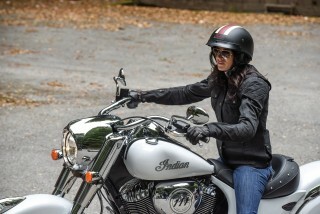 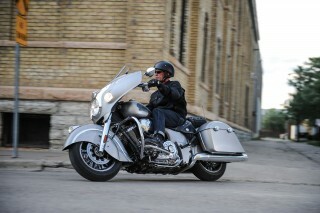 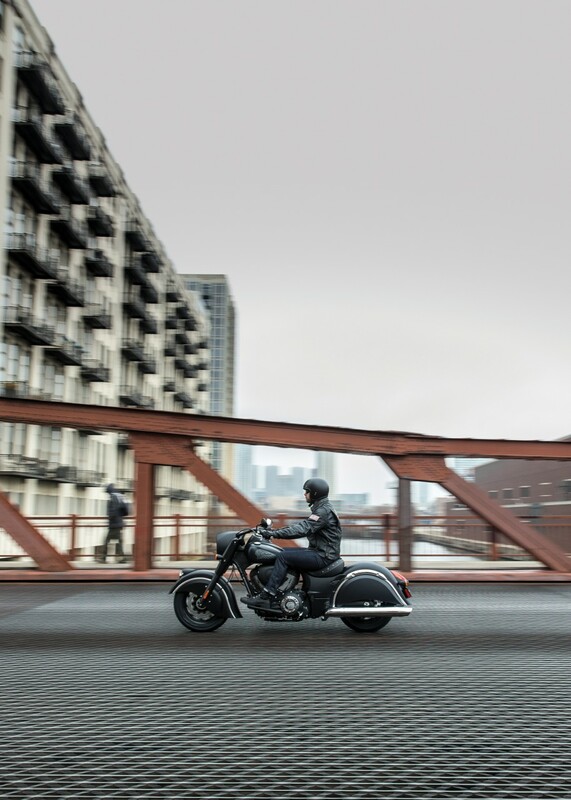 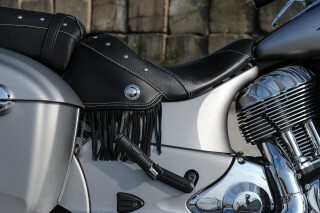 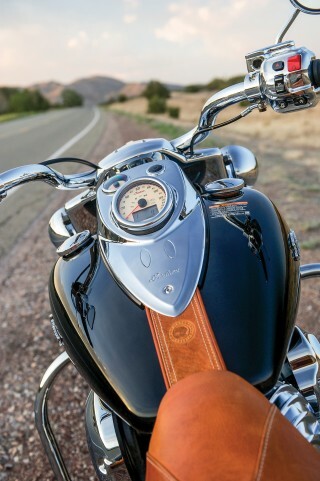 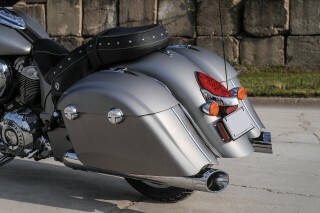 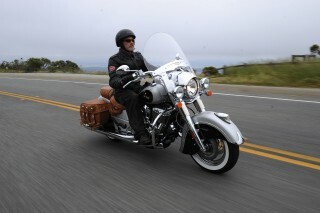 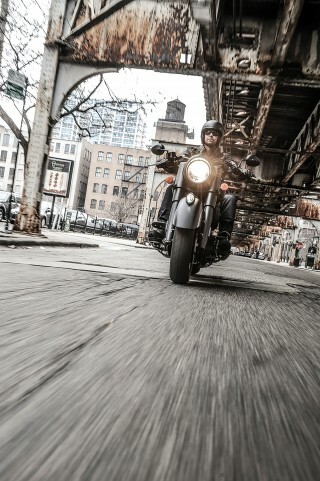 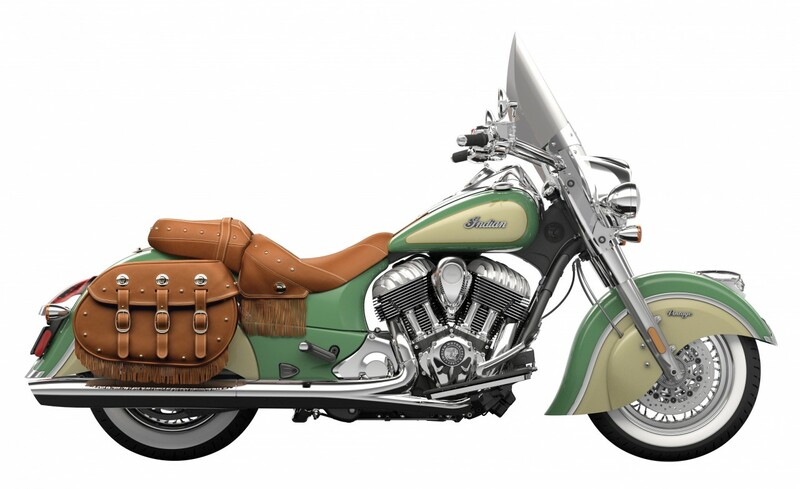 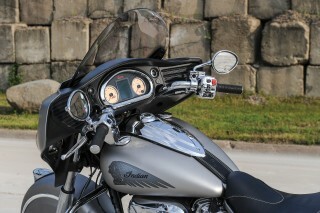 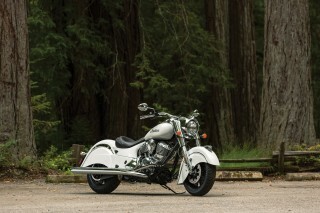 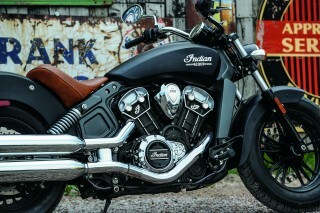 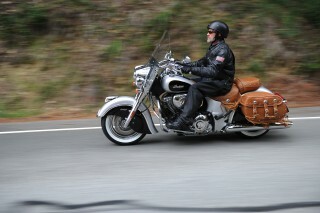 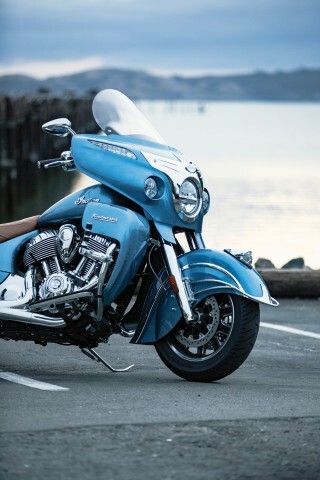 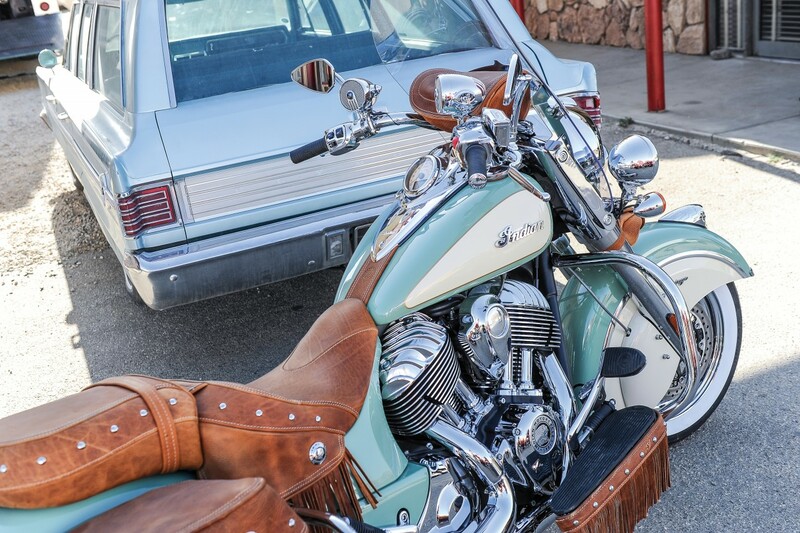 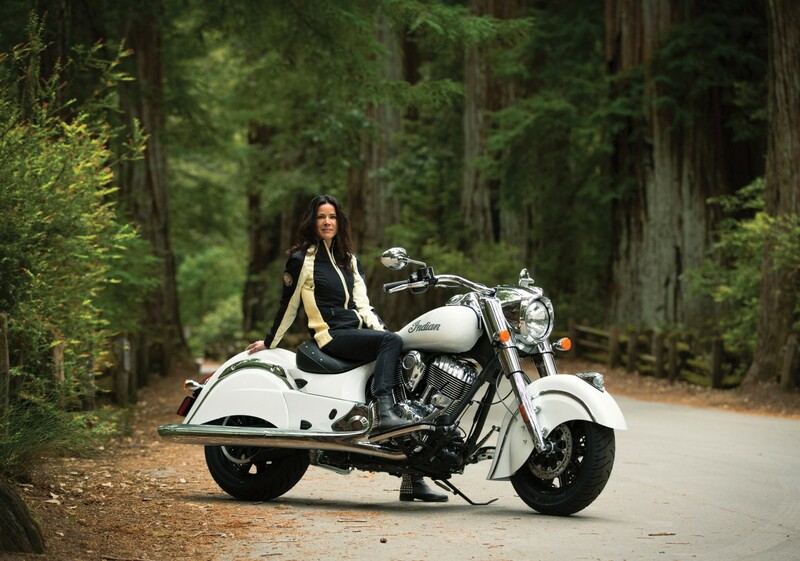 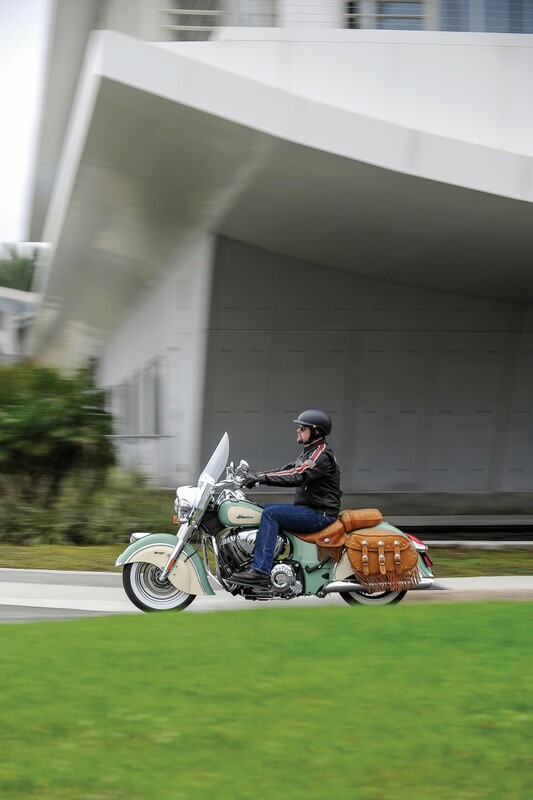 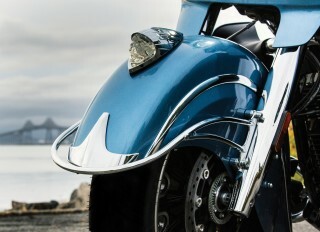 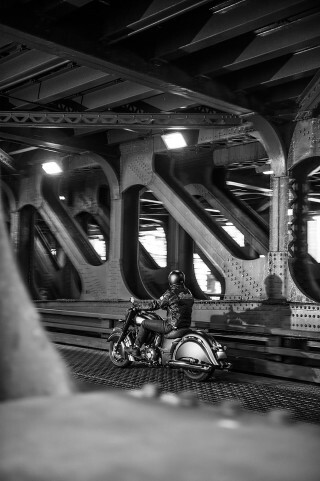 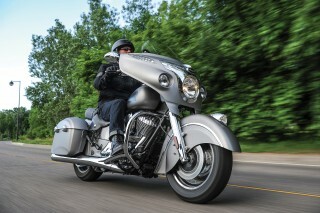 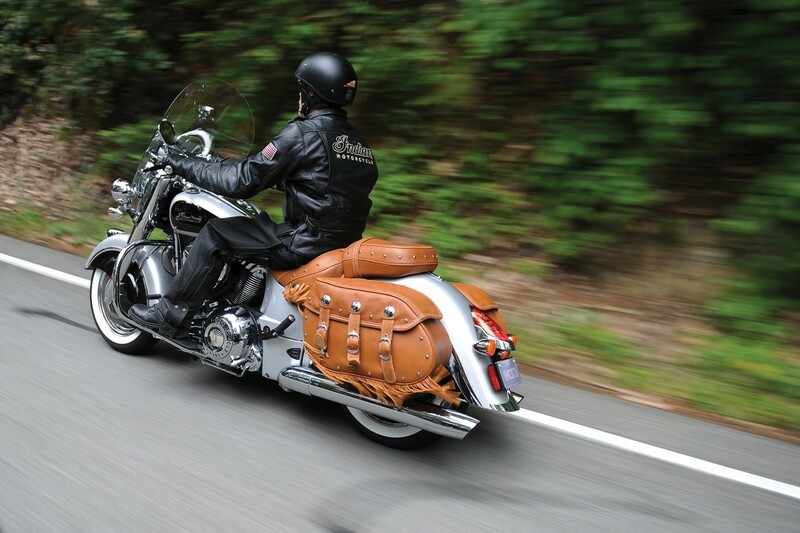 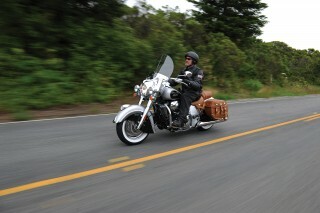 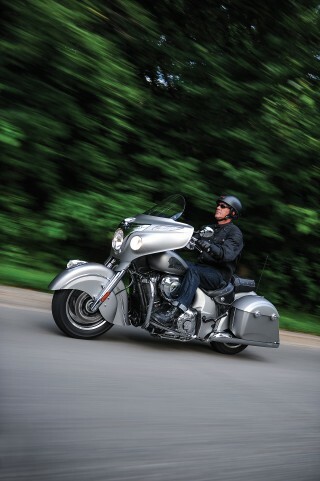 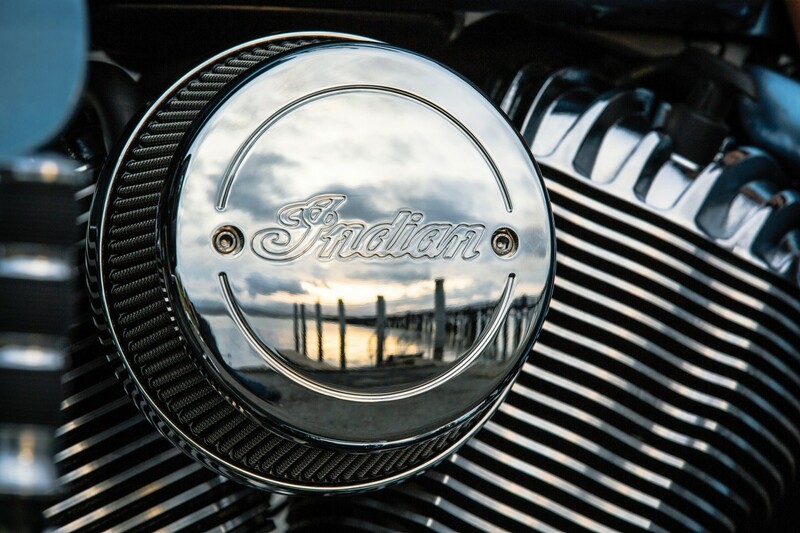 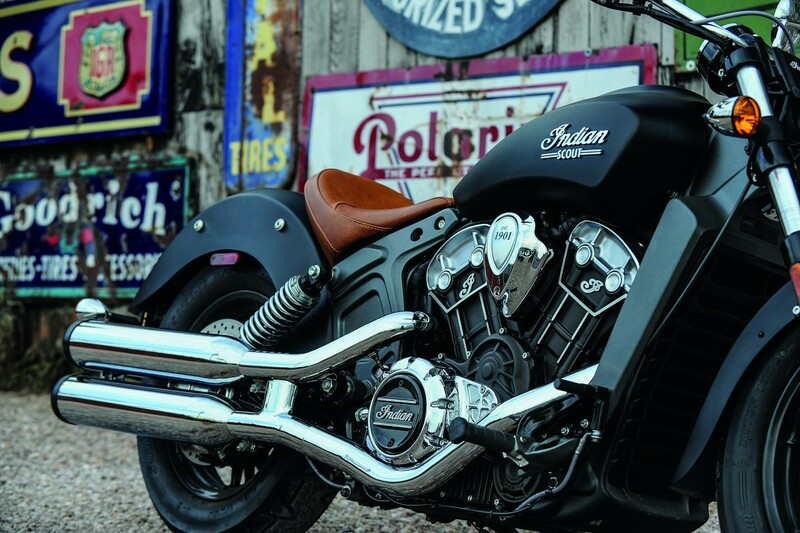 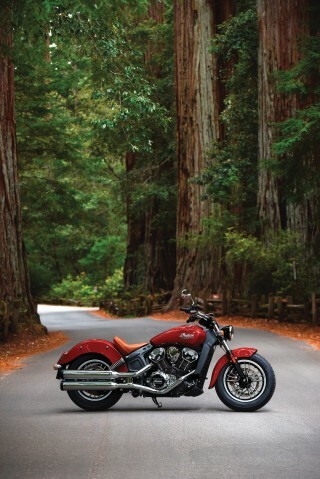 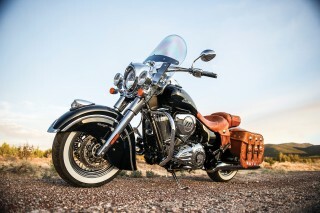 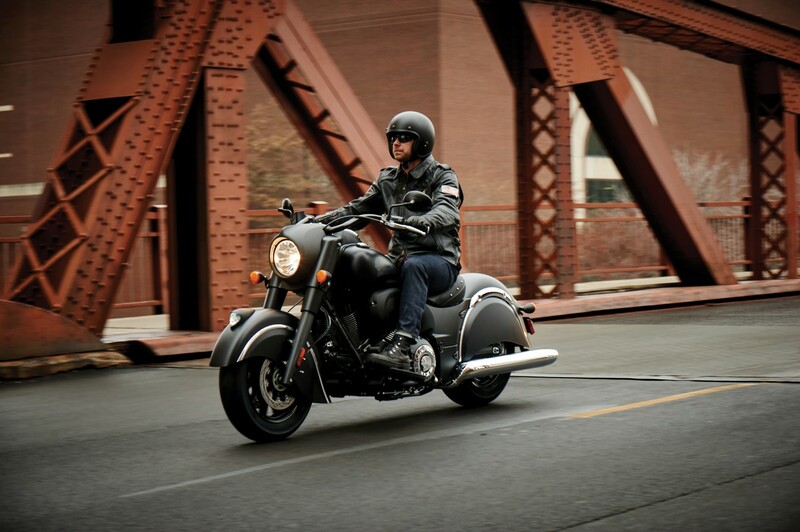 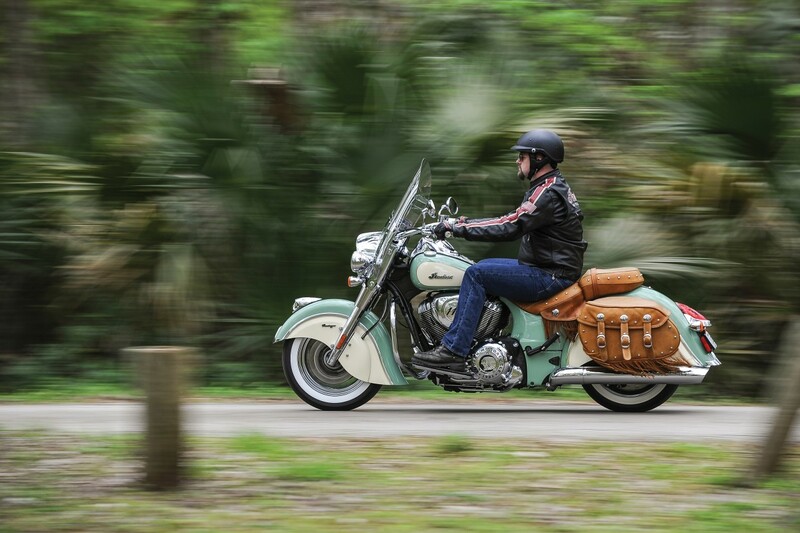 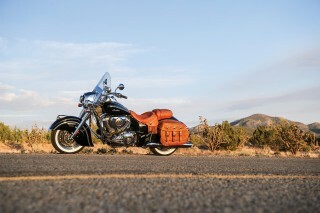 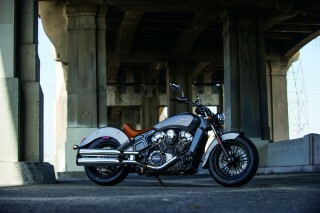 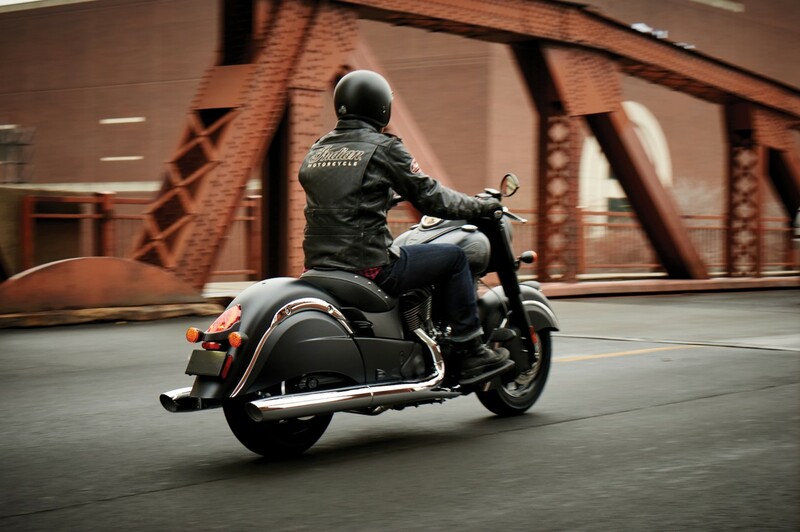 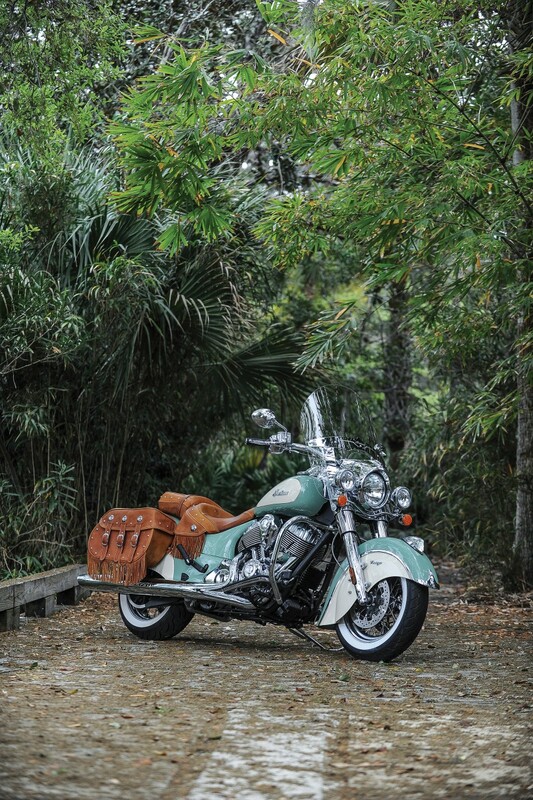 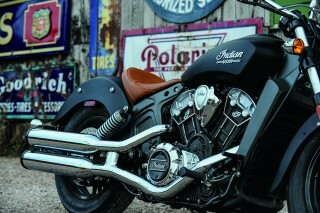 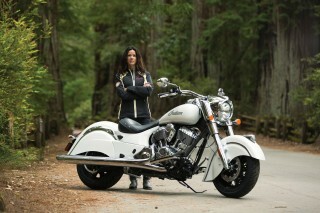 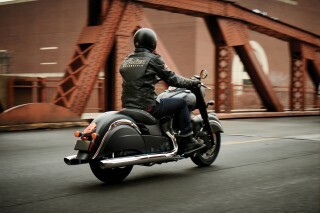 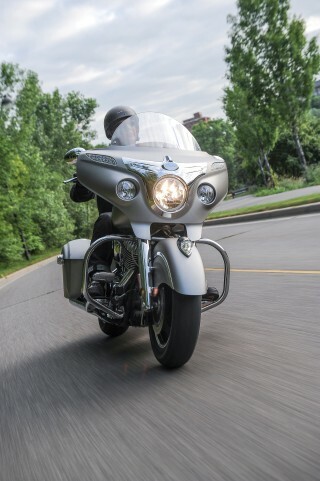 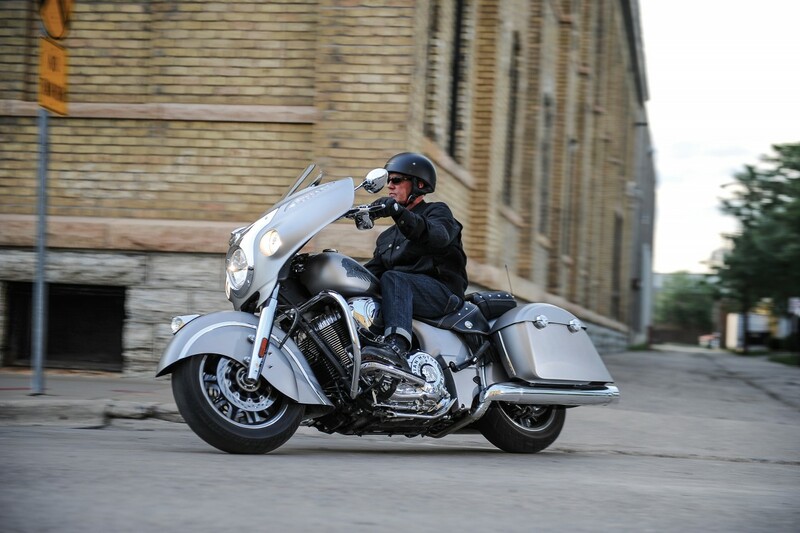 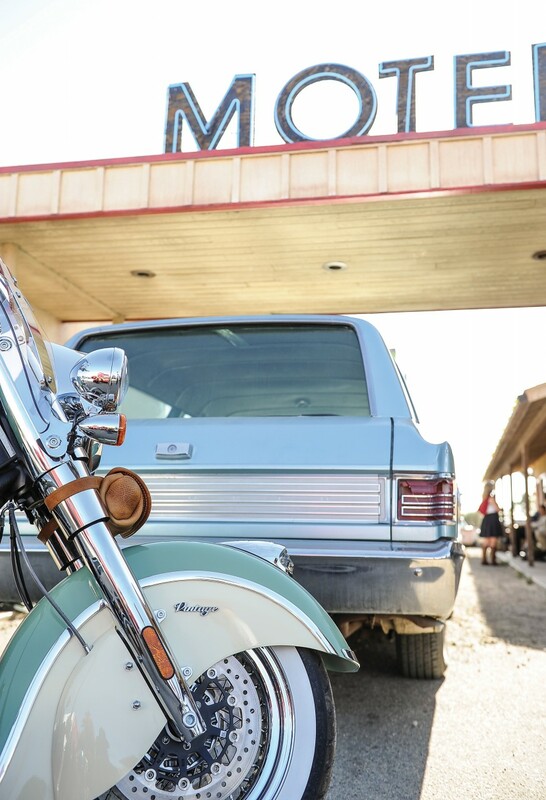 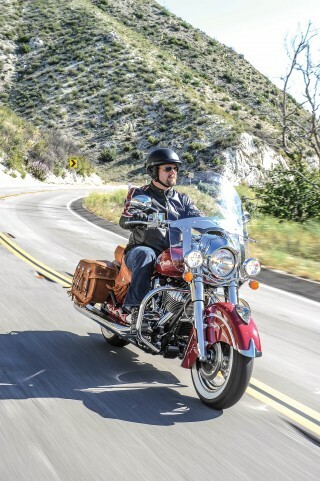 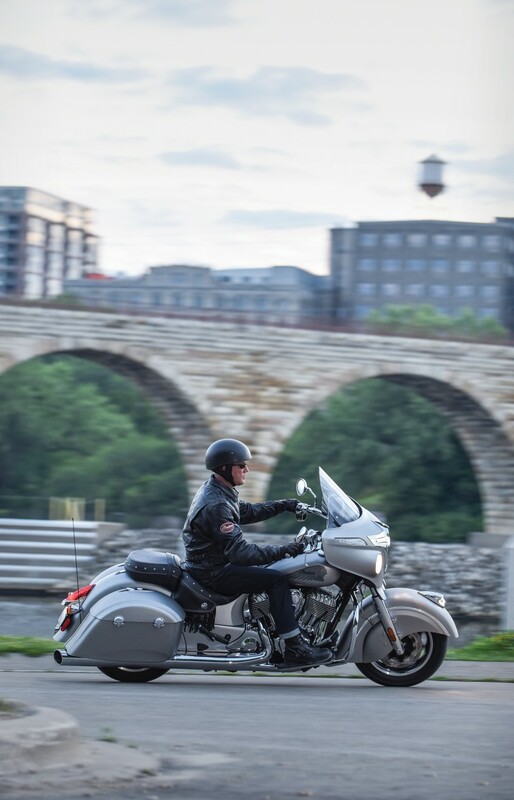 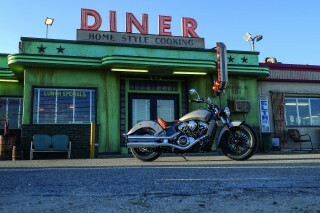 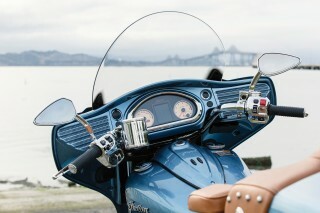 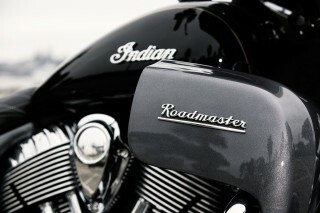 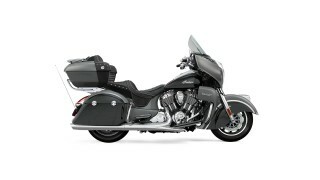 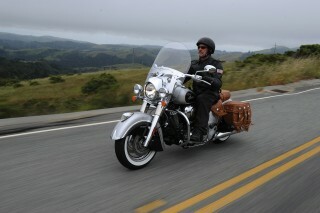 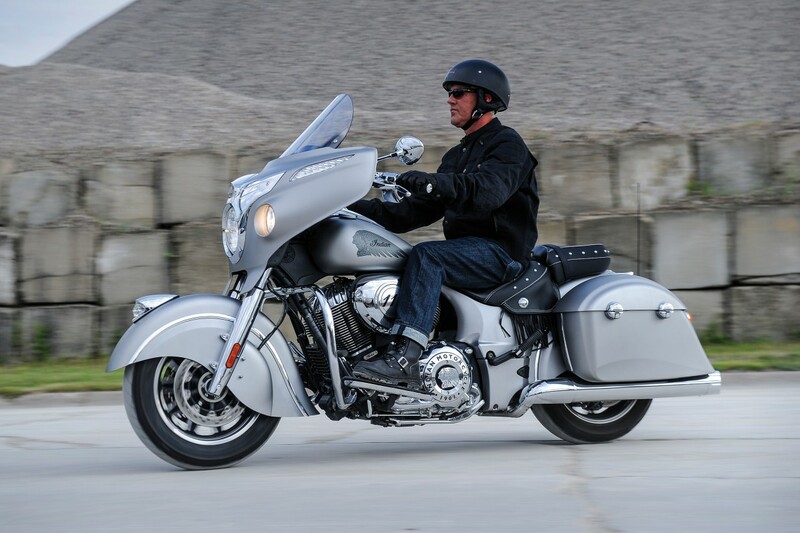 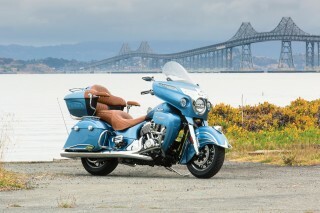 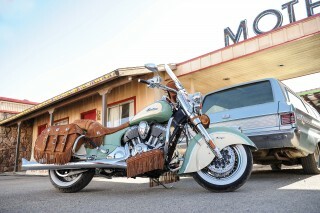 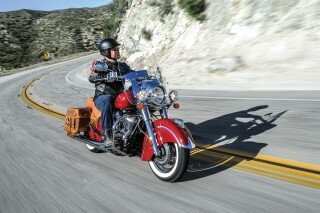 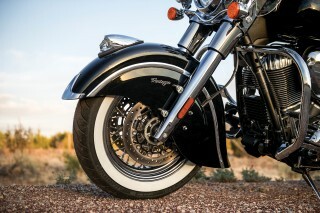 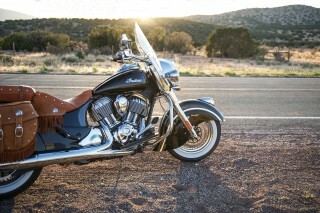 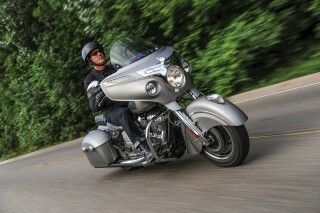 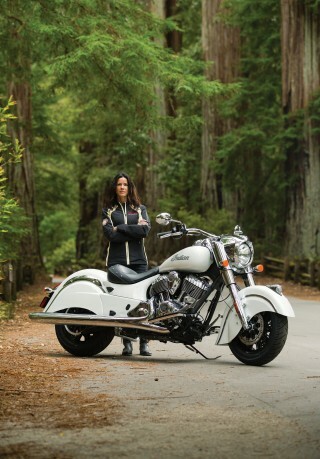 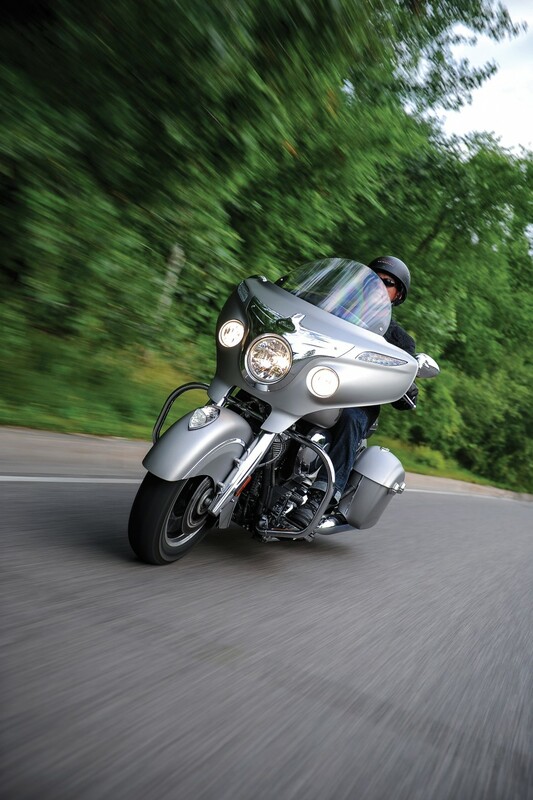 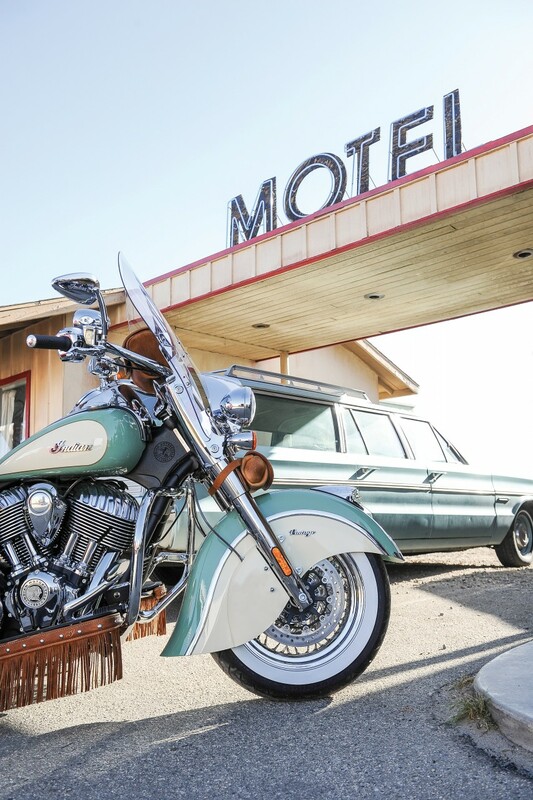 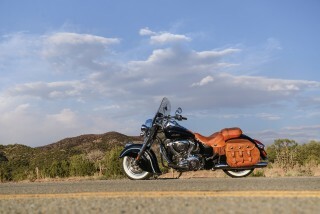 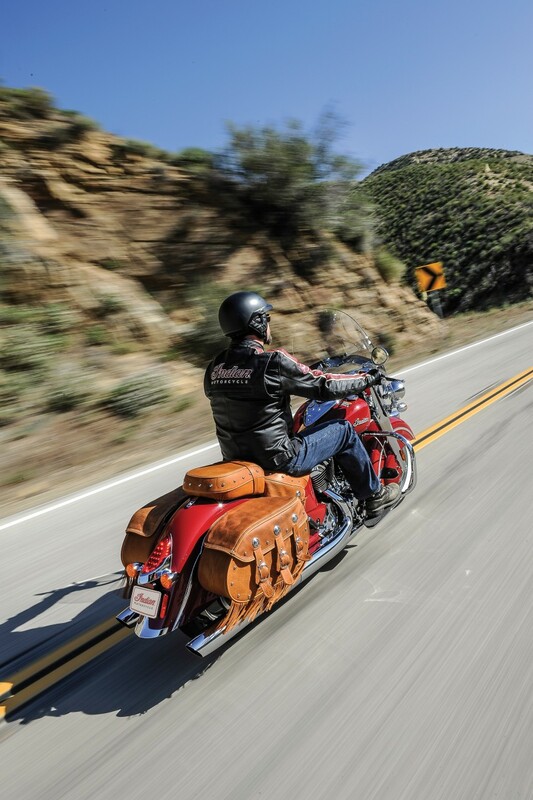 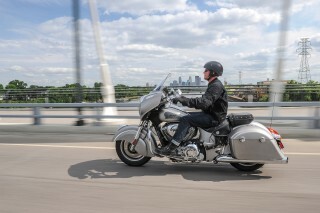 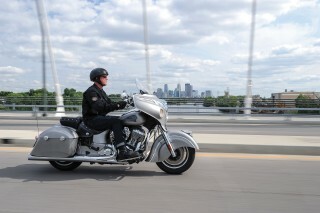 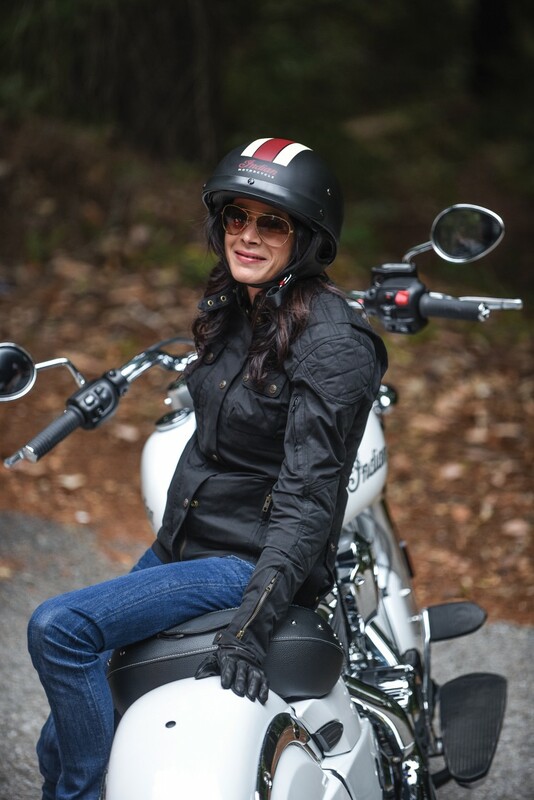 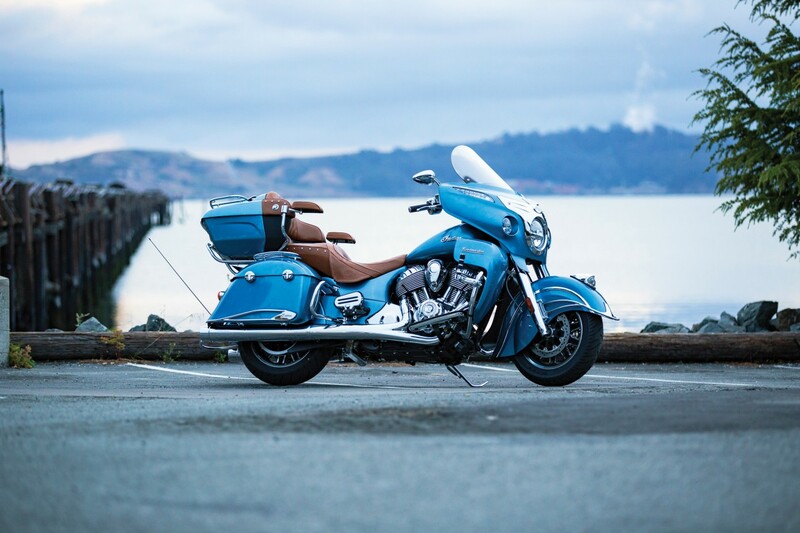 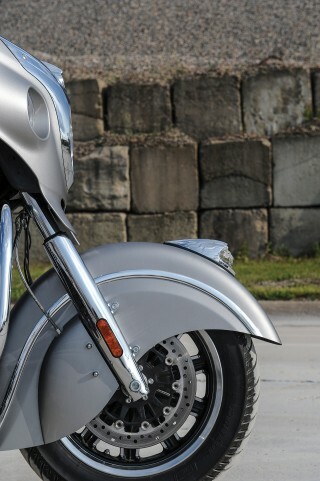 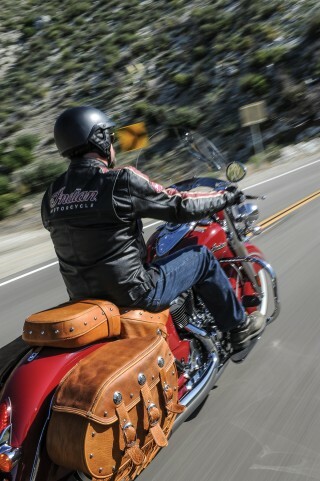 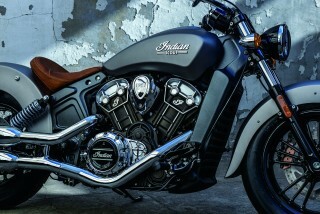 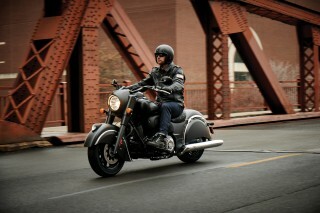 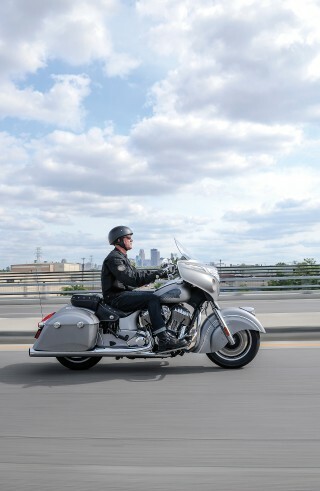 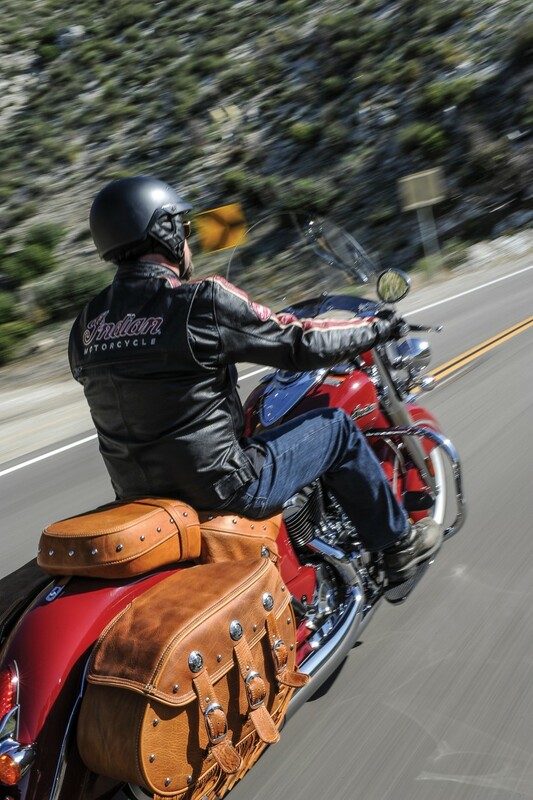 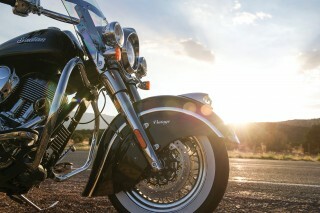 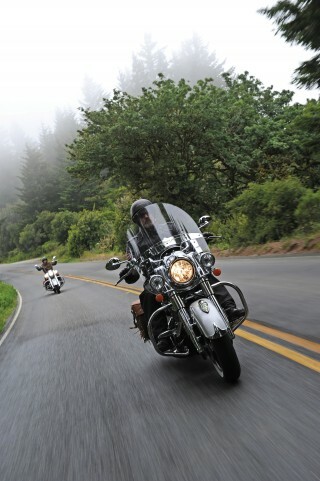 The Indian Chief family has impeccable styling and sophisticated performance. 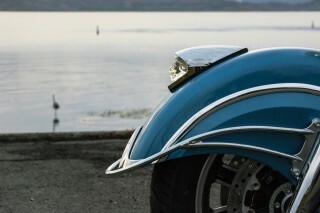 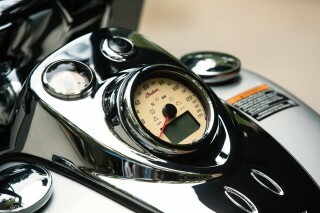 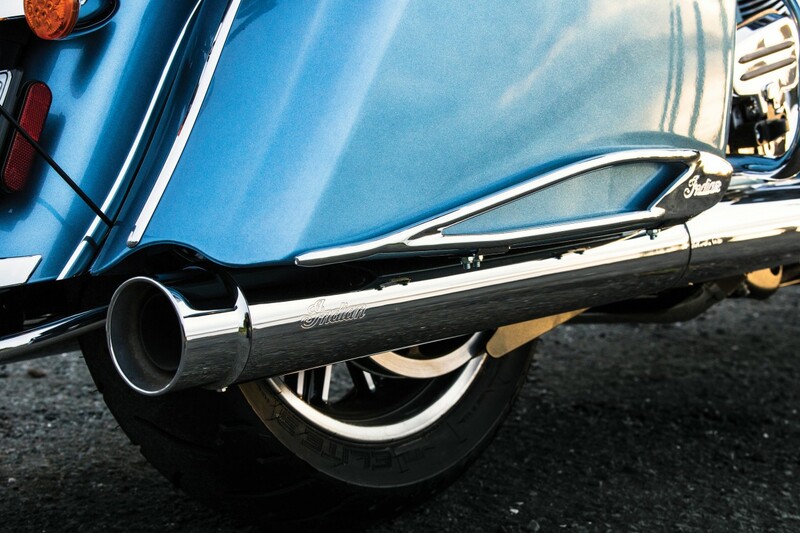 The proven Thunder Stroke 111 engine powers them all (an air-cooled version is on the Chief Dark Horse, Classic and Vintage), but each model has its own character and style. 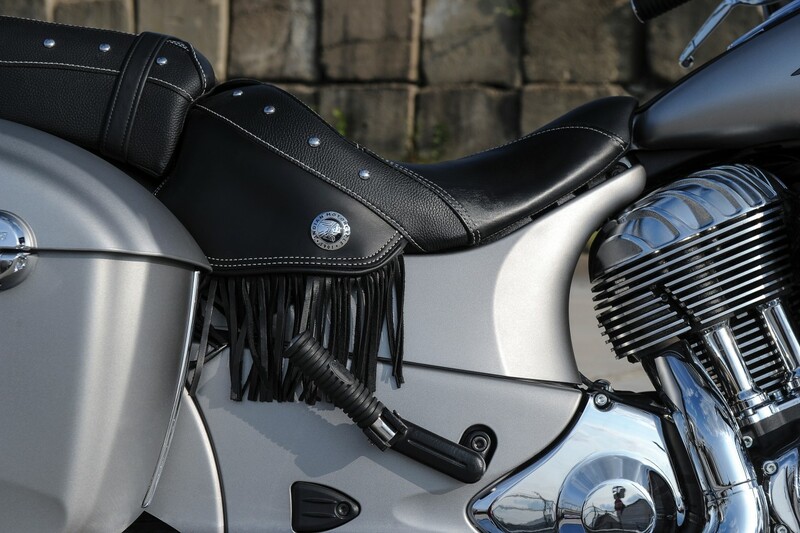 Riders can opt for the Chief Classic (cruiser) with its classic looks, much cleaner now following some re-work carried out for 2016: solo vinyl seat, black switches, single headlight and cast aluminium wheels. It now also only comes in one colour; Pearl White. 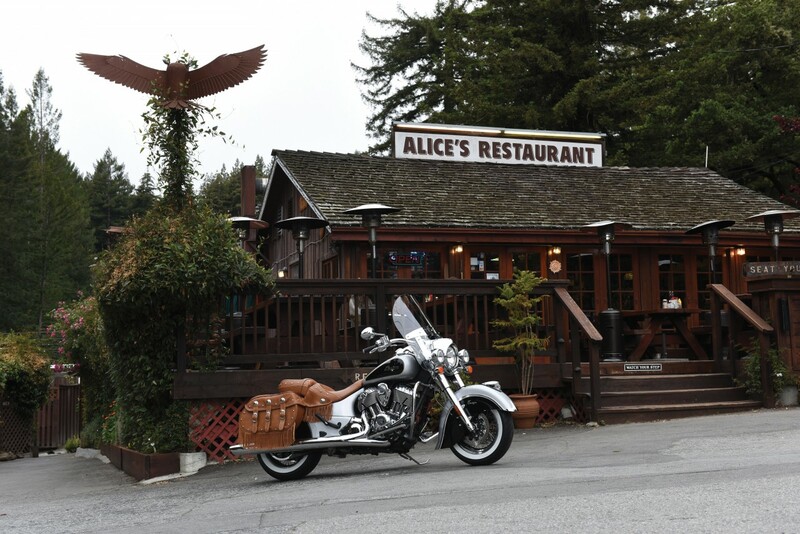 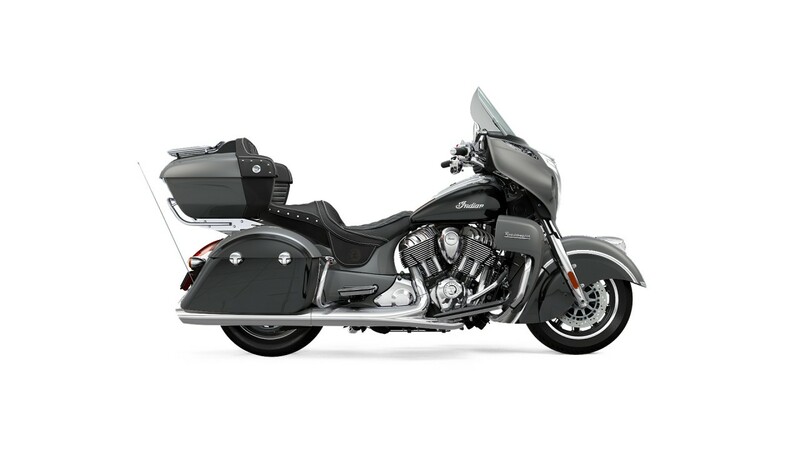 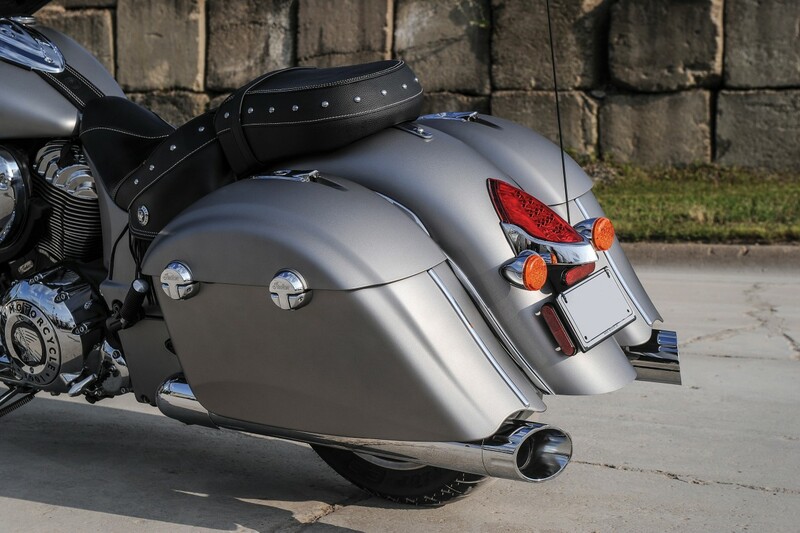 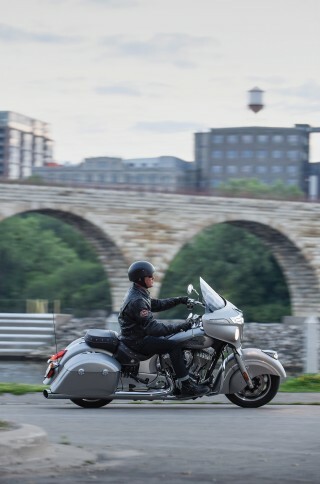 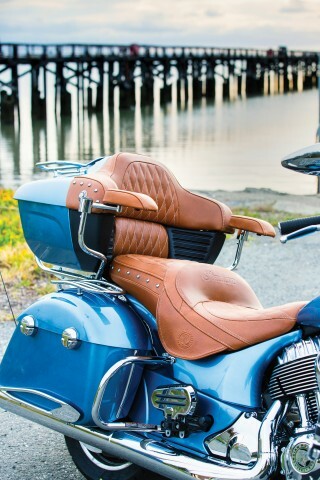 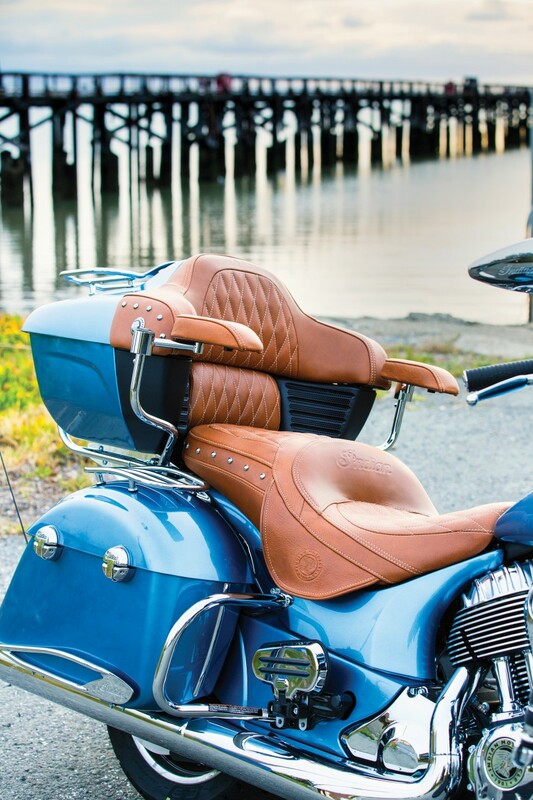 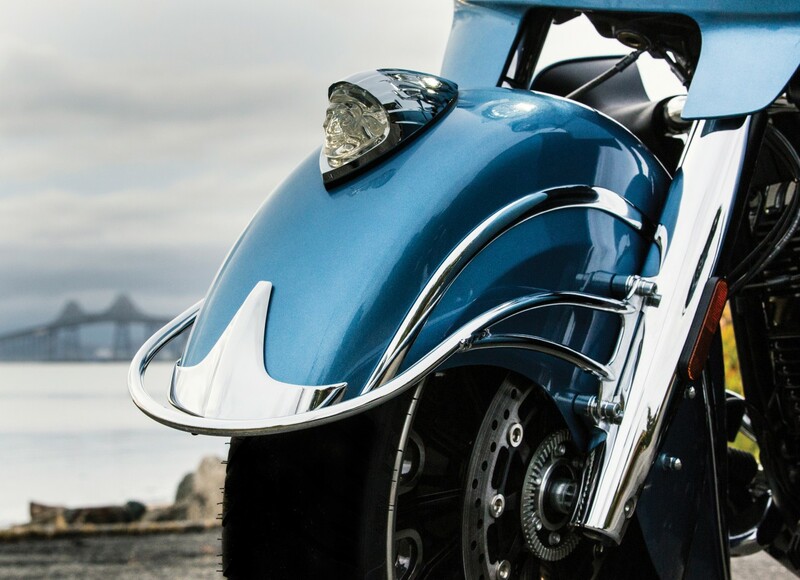 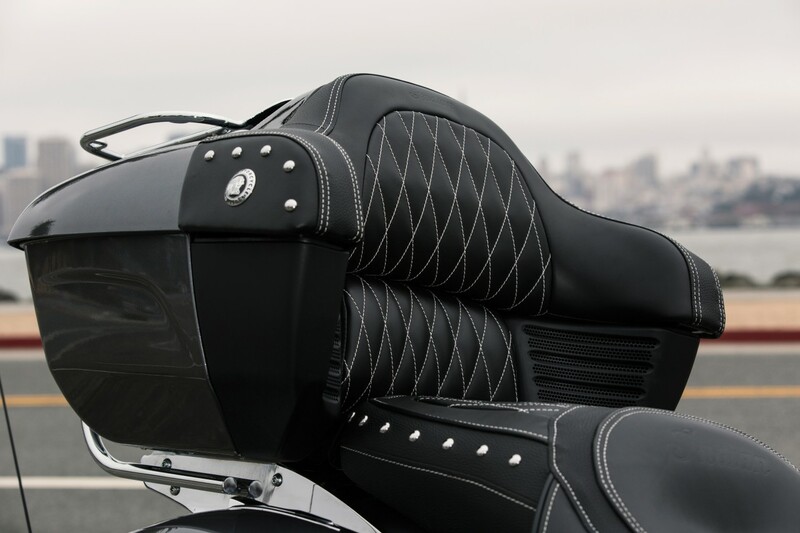 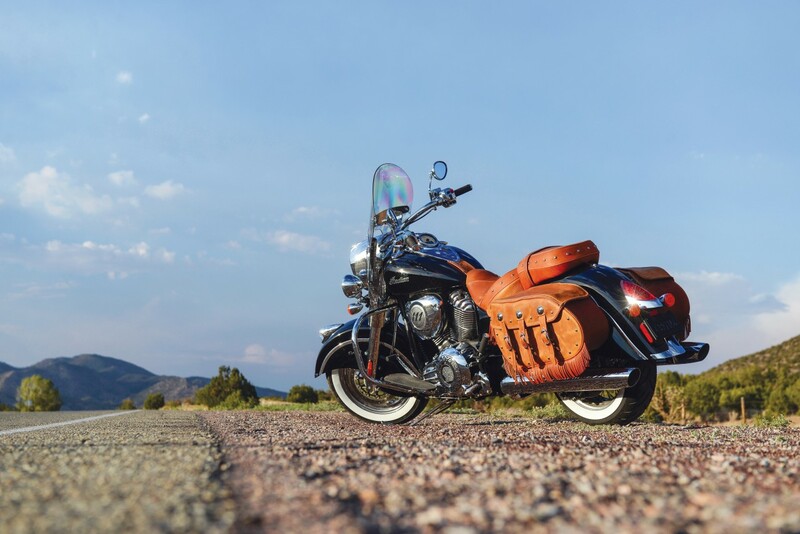 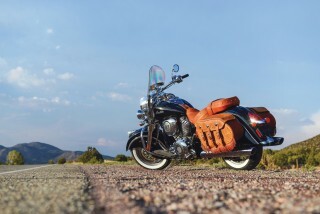 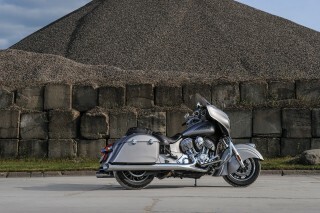 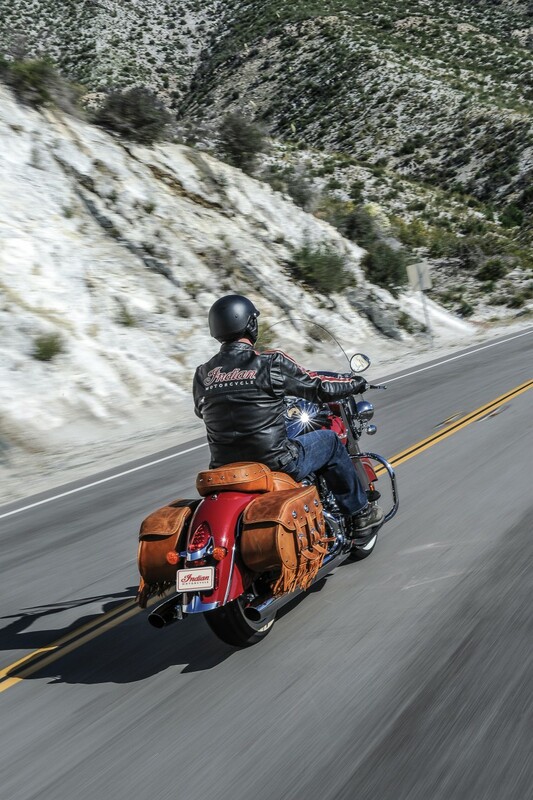 Next there’s the Chief Vintage (bagger) with its beautiful fringed leather saddlebags and seats, and quick-release windshield (all as standard) making this the option for those who plan to ride on extended road trips. Four colours are available with one of these being new for 2016. 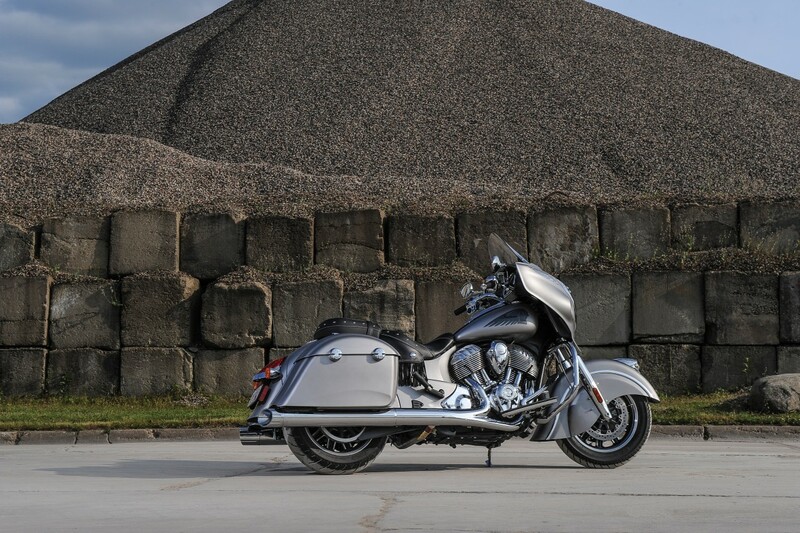 The Chieftain (bagger) has a large fairing with a power-adjustable windscreen (to offer superb cruising comfort), genuine leather seats and hard saddlebags with remote central-locking. It’s available in four colours in 2016 with two of these new. 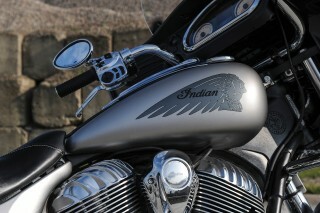 Finally there’s the Chief Dark Horse. This is the most striking cruiser on the market. 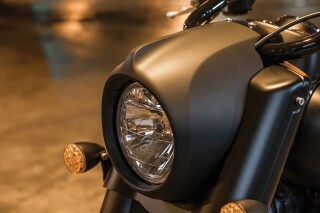 It is matte black from end-to-end with only a few flashes of chrome (accessories are available to fully blacken it out). 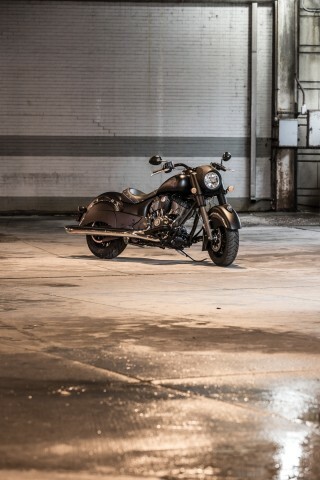 This bike makes a statement even before you fire it up. 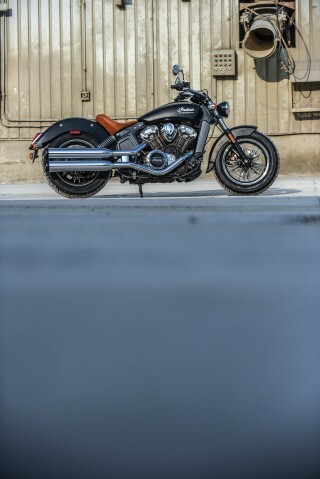 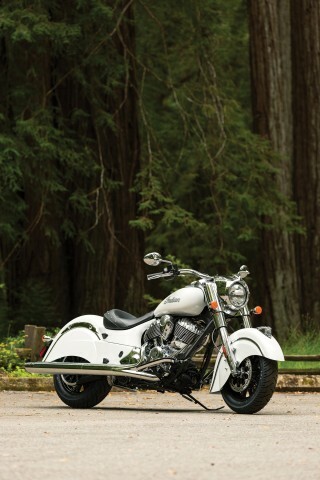 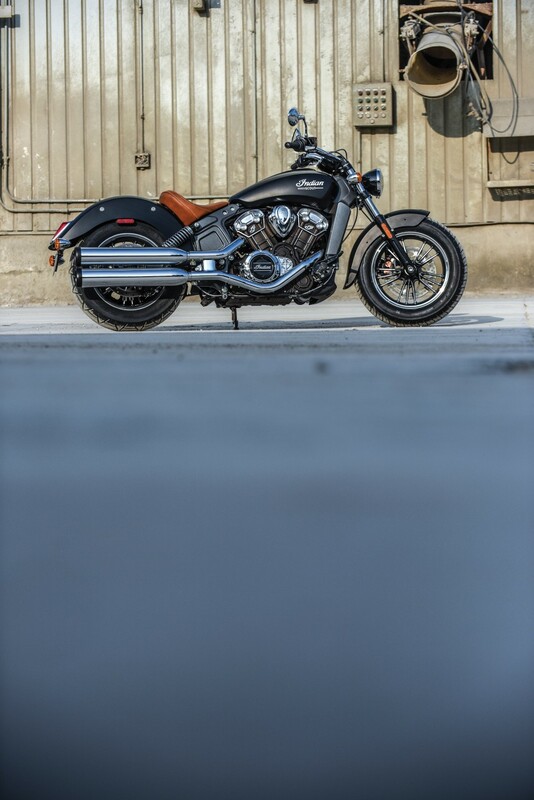 It looks intimidating, but its low seat height and balance makes it very easy to swing a leg over and ride, plus it’s the best entry point to ride a Thunder Stroke 111 powered Indian Motorcycle. 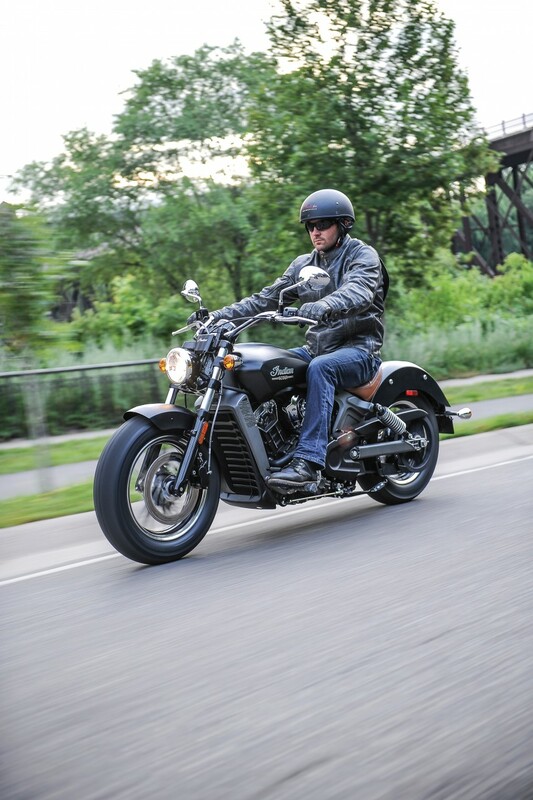 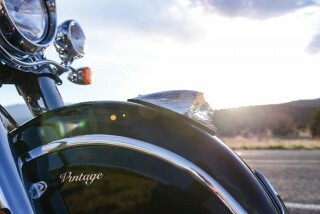 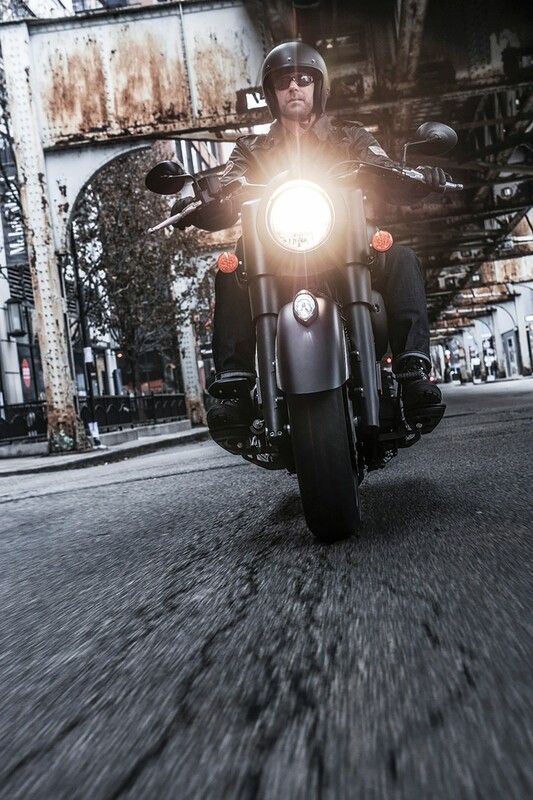 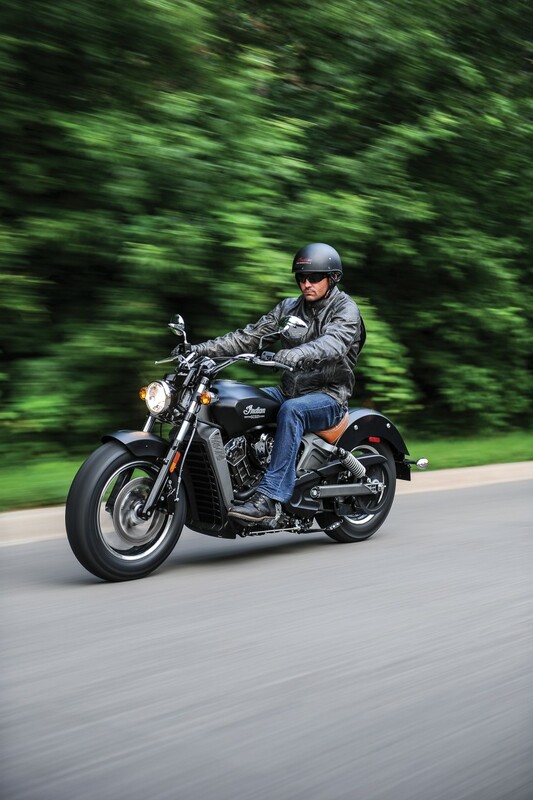 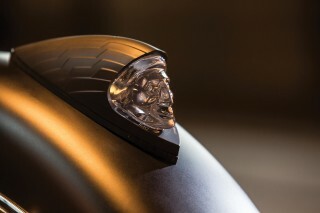 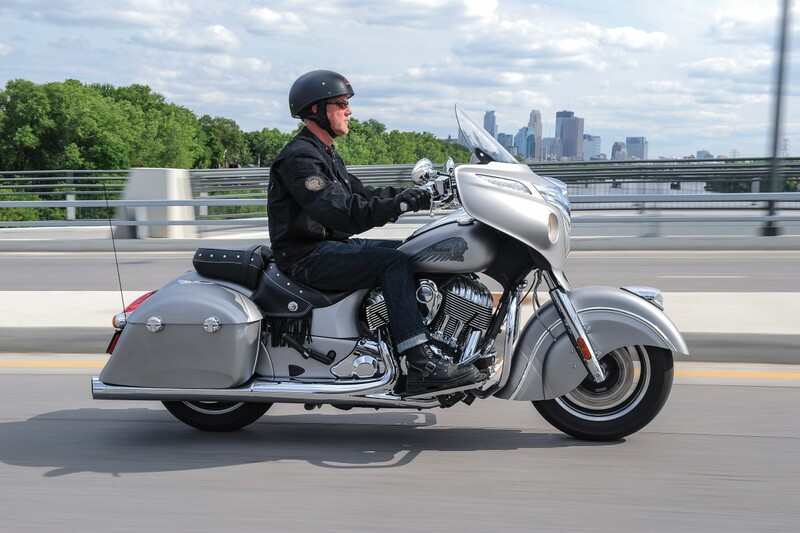 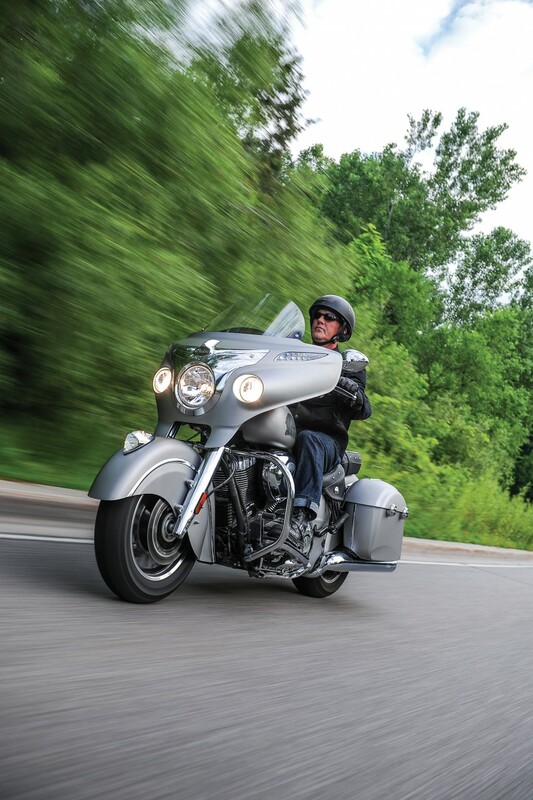 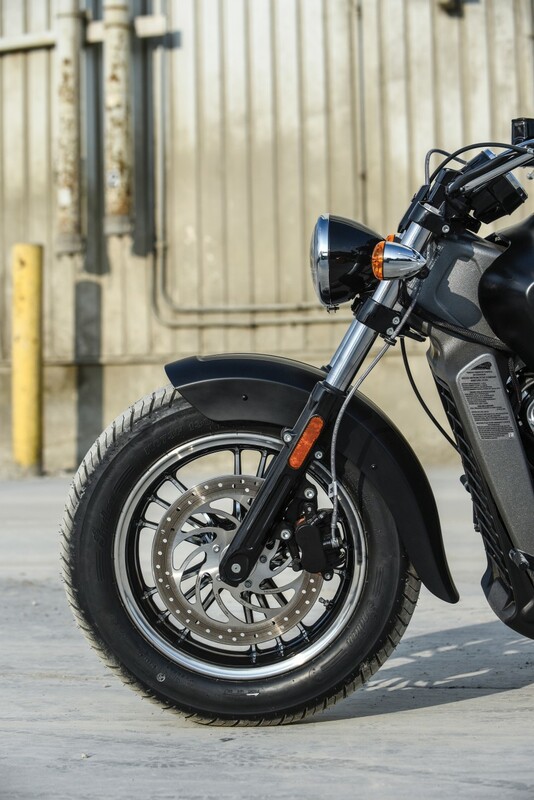 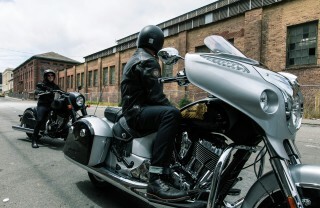 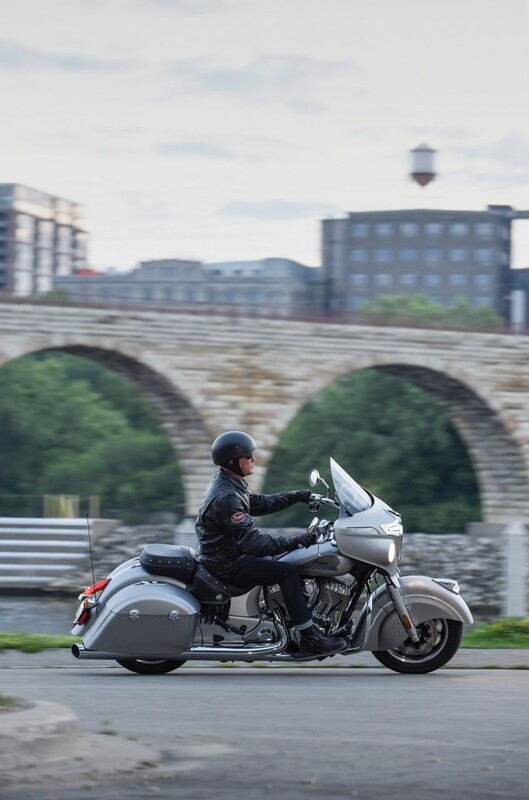 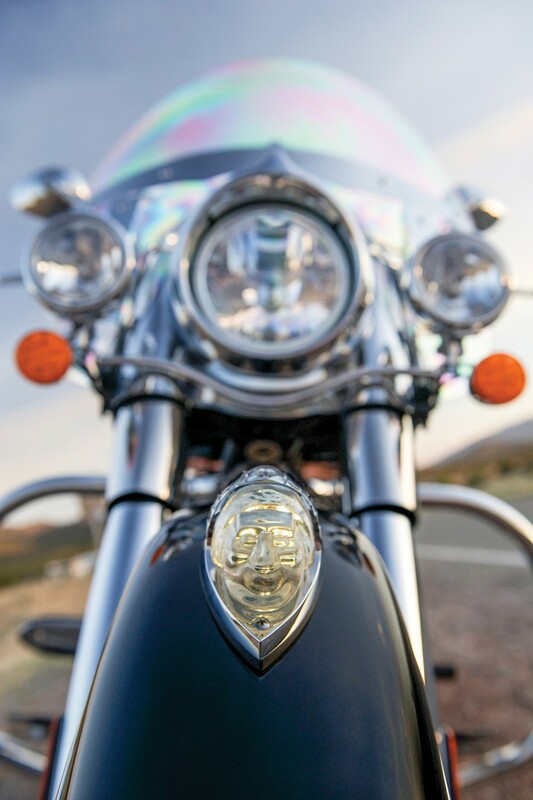 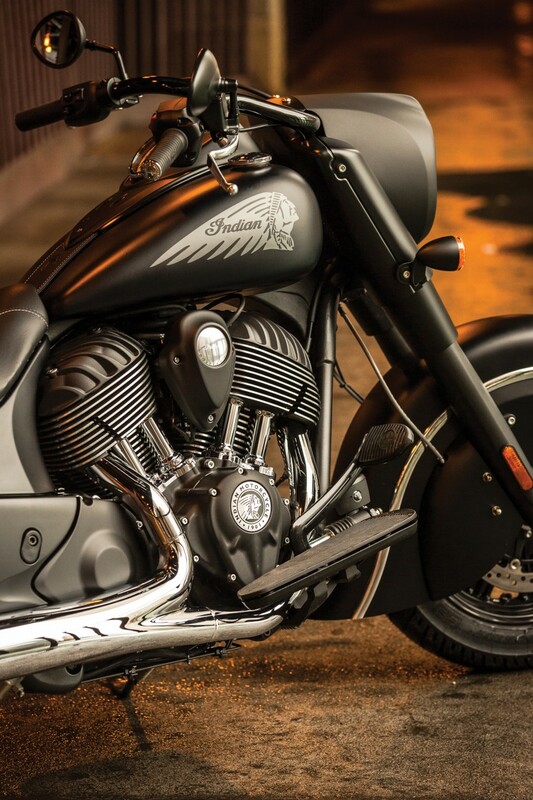 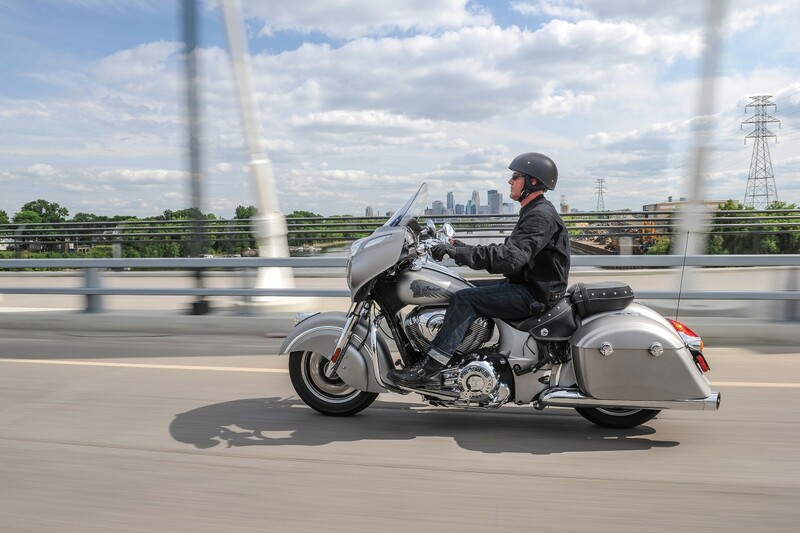 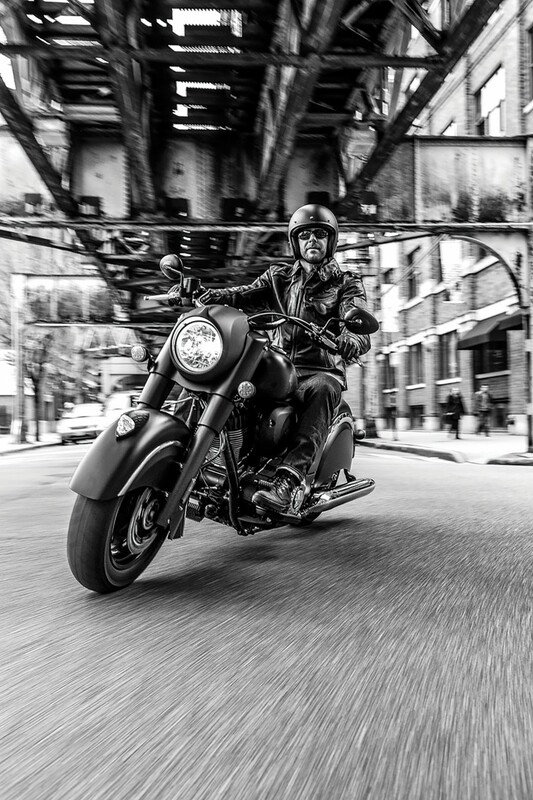 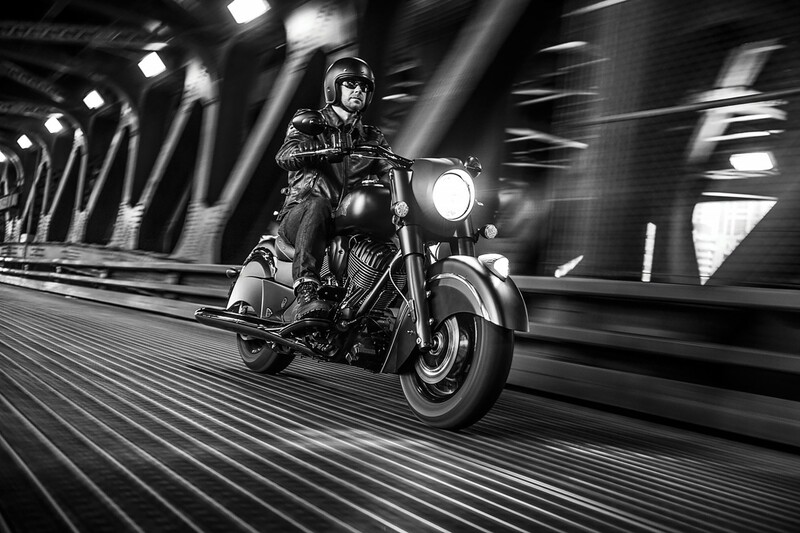 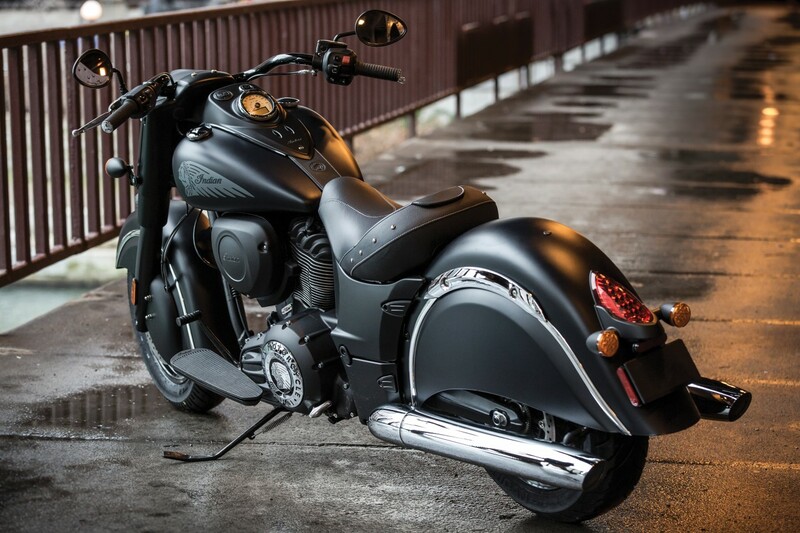 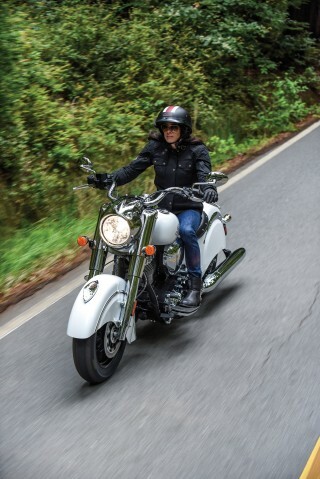 Propelled by 139Nm of torque and the same chassis and suspension from the award-winning Chief Classic, the Chief Dark Horse rolls with ABS, a remote key fob for keyless ignition and electronic cruise control. 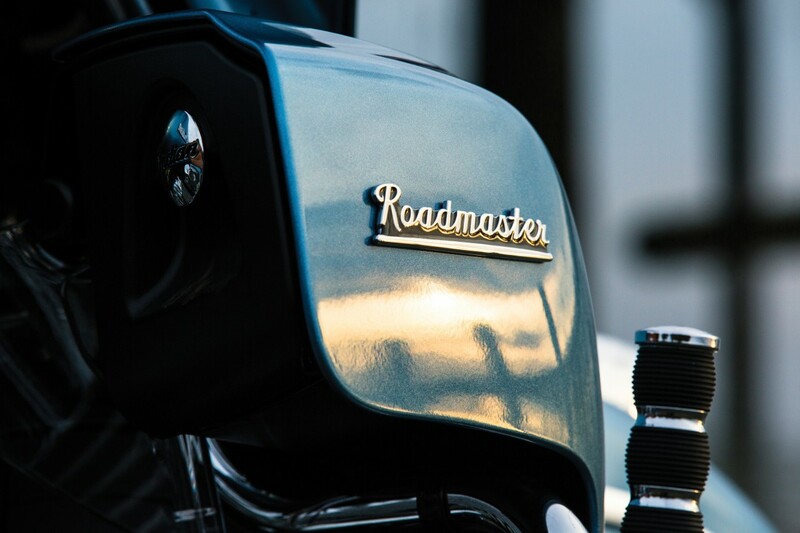 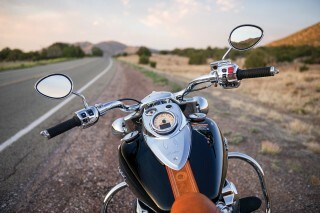 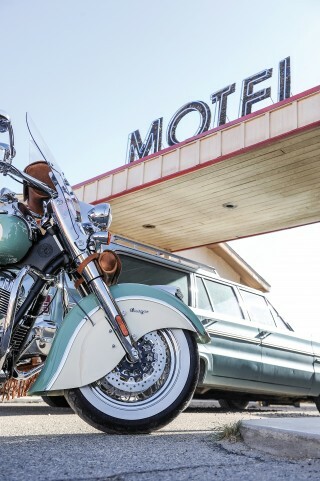 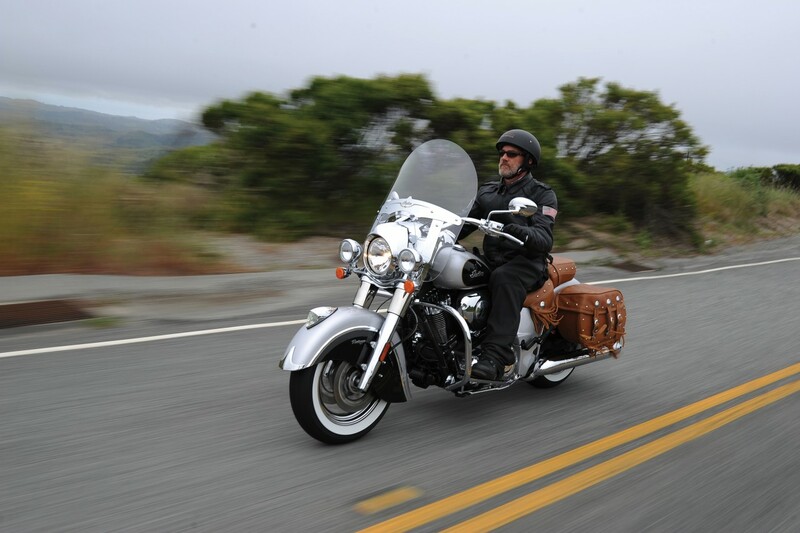 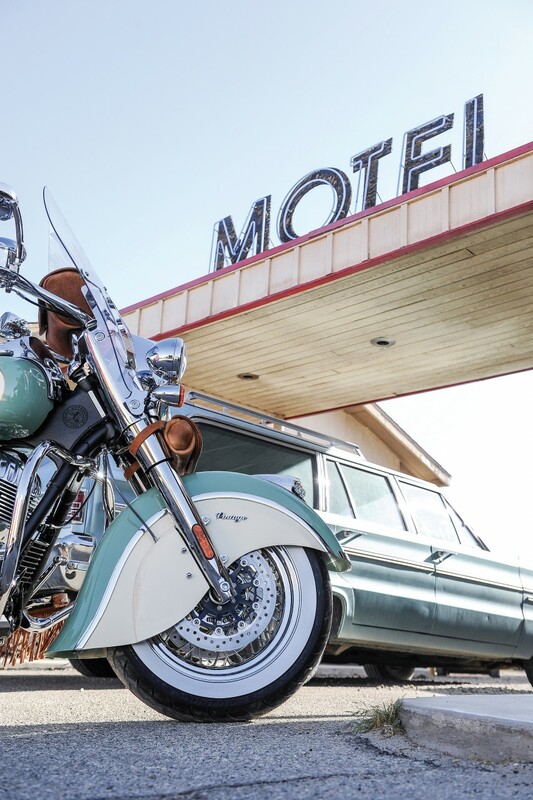 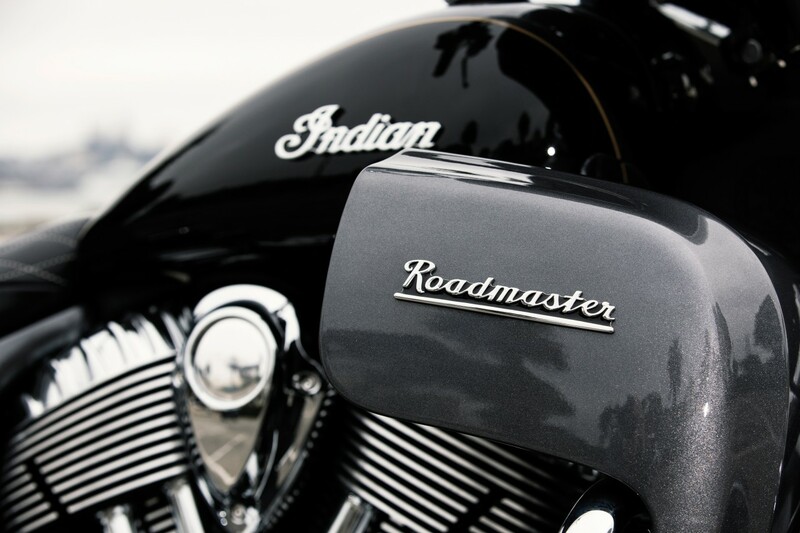 The Roadmaster is the industry’s most luxurious American touring motorcycle and is the epitome of comfort for long distance cruising. With the peace-of-mind reliability of the Thunder Stroke 111 engine and 143 litres of premium storage space, the industry’s leading touring bike delivers luxury features like a power-adjustable windscreen, heated grips, dual-heated genuine leather seats, ABS, tyre pressure monitoring system, keyless ignition with remote locking storage, electronic cruise control, an advanced infotainment system and Bluetooth capability for the ultimate in connectivity. Pricing and availability for all MY16 models: MSRPs and availability dates will be communicated regionally on a country-by-country basis. All models have ABS as standard and come with a 5-year warranty. 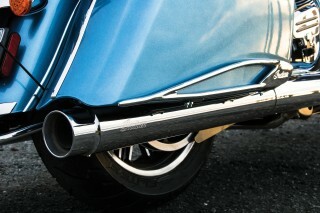 All models can be now equipped by EU certified accessory exhausts made by Remus for an even throatier sound.